This month we highlight Loyal Red Dragon Evan Rakowski ’05. Evan received the Alumni of Distinction honor in 2018. He is the principal and founder of Radical Spark, a management consulting organization. Evan joined our Loyal Red Dragon program and has completed all three steps: Registering in our online community, volunteering, and attending an event! Check out Evan’s keynote at the Political Science Conference on April 5. Evan shared his words of wisdom on how to communicate with individuals who may have differing viewpoints and how his experiences at SUNY Oneonta helped him to be a successful businessman. Become a Loyal Red Dragon today. Sign up at www.oneontaalumni.com/LRDOneonta. 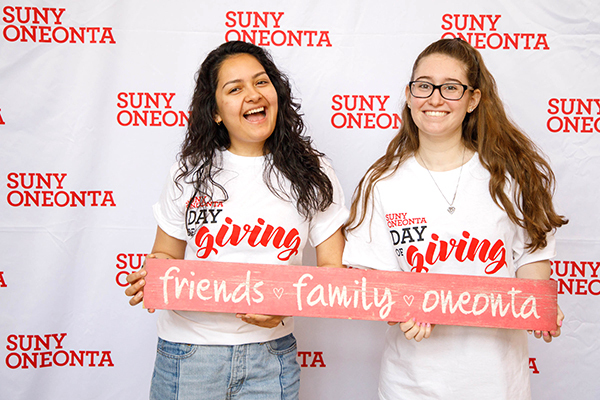 SUNY Oneonta’s annual Day of Giving for 2019 was a success! More than 870 alumni, faculty, staff, students, parents, and friends participated with a gift. The day was made possible by generous challenge donors who pledged their support based on dollar thresholds reached during the day-long fundraising event. The 24-hour challenge began at midnight on Thursday, March 21, with the first challenge from Phil Carpenter ’64, ’67. By mid-afternoon, more than $25,000 had been raised to qualify the college for his $25,000 challenge pledge. Once this target was reached a new challenge was launched, with an additional $15,000 promised by Sally Tanzer and Grace Larkin ’67 if $15,000 more in donations was received. That target was achieved by early evening, prompting members of the College at Oneonta Foundation Board of Directors to come forward with one final challenge to secure additional gifts prior to midnight. The event was widely publicized thanks to both email and social media outreach. 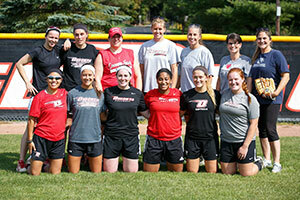 The SUNY Oneonta Student Association pledged $5,000 if a goal of 321 social media posts of #ONEONTATHANKS was reached. More than 1,400 posts, shares, likes, and comments were noted on social media that day! Progress was tracked on www.oneontaalumni.com/challenge. We achieved great things during our 2019 Day of Giving, with donations totaling more than $170,000! SUNY Oneonta students and faculty are the grateful beneficiaries of this support, so thank you to all the alumni, students, employees, and friends who helped us exceed our goal. We could not have done it without you! Every Red Dragon has heard of the tunnels that run under the campus. Some alumni experienced them first-hand; others only know the stories, like this one below from Reflections. We have a special opportunity for a lucky winner to put on a hard-hat and go underground on a Behind-the-Scenes tour with Lachlan Squair, Chief Facilities Planning and Safety Officer. The details: register for a Reunion Weekend event by midnight on May 8, 2019. One winner will be chosen. Your odds of winning are determined by how many entries we receive – and may the odds be in your favor. Current students whisper about tunnels under the campus, usually on an Oneonta winter day when the wind is extra sharp and the snow is extra deep. The story usually goes: “My [mom, dad, uncle, aunt, etc.] went here in the [1960s, ’70s, ’80s] and said there were tunnels that ran from building to building that students would walk through without ever having to deal with the weather.” Then, usually, the current students sigh, snuggle deeper into their winter coats, and trudge to Fitzelle, Hulbert, or Hunt Union. To students from about 1993 onward, the tunnels are merely the stuff of legend. But, yes, recent graduates, there were tunnels back in the day. They ran between the Netzer Administration Building, the Hodgson Instructional Resource Center, and Schumacher Hall. Those buildings were all constructed during one of the first big periods of campus growth in the 1960s, which meant that the campus was already being dug up. Plus, the administration was in favor of underground passageways. The tunnels were also a place to celebrate affiliations. Sororities and fraternities would paint their crests and symbols on the wall. Student clubs such as Mask and Hammer would advertise shows and activities. The tunnel walls were treated like the Hartwick wall is now, just subterranean. One of the benefits of the underground route was the snacks that waited at the end of the path to Schumacher. Students fueled up on coffee and treats at a shop in the building’s basement. Despite the fond memories alumni have of the tunnels, they did have a few downsides. The biggest (and the one that ultimately led to their closure) was that water would seep into them during hard rains and spring thaws. The carpets would get soaked, and the paint would peel off of the walls. "From a facilities standpoint," Bidwell says, "they were hard to ventilate and light. Security was tough, too, because they are largely hidden spaces." Currently, it would be cost-prohibitive to make the old tunnels ADA-compliant. While the tunnels are no longer in use as student walkways, they are still there. In the basement of Netzer, a nondescript locked door near the vending machines marks their entrance. They are different now, however. There are big steam pipes where the murals were. Conduits contain communications cable, including the big fiber-optic trunk lines between Milne Library and Netzer. These lines are the backbone of the campus’s high-density data network; interestingly, the individual cables are blown through the conduit with compressed air, rather than pulled by hand. There are miles and miles of these lines in the tunnels and out of sight. We’ve grown to depend on this “wireless” system, even though it’s only wireless for the last 50 to 100 feet to our computers and phones. The underground system of cables and wires has grown to connect all of the parts of the expanding campus. Tunnels — some only big enough to crawl through — are like the tree root system that feeds what is above. If you have a knowledgeable guide like Bidwell you can go from Netzer to Hulbert and only step out into the sunshine once. What do the Berklee College of Music, the Los Angeles College of Music, and SUNY Oneonta have in common? All three made Billboard magazine’s 2019 list of top music business schools. Billboard’s editors understand that you can still learn about music outside of big cities and cited SUNY Oneonta for “the opportunities available to music business students at public colleges outside industry centers.” Plus, they had high praise for a new course in digital music and beat production, as well as the on-campus community the studies the roles music plays in everyday life. See who else made the list. All-American Closes Out Career with a Third Place at Nationals Wrestler James Bethel ’19 closed out the greatest career in the nearly 60-year history of the program on March 9 by winning three matches on the final day of the 2019 NCAA Division III championships to earn a third-place finish. He entered the championship as the top seed and left the championships as the only four-time All-American in program history. Off the mat, Bethel is an involved, successful student leader who is a dean’s list student, honor society vice president, and two-time Scholar All-American. His research on the prevalence of motion sickness among student athletes was accepted for presentation at a national conference this May. On top of his athletic and academic commitments, James has performed more than 250 volunteer hours in service projects for the college and community. Bethel’s resume extends even further with his service on the SUNY Oneonta College Foundation Board. Carly Salzman '17 tells us why she's a Loyal Red Dragon! I am a Loyal Red Dragon because I wanted a way to stay connected to one of the most wonderful places! After graduating, I wanted to have just another reason to come back and visit and attend events with my fellow red dragons. I enjoyed volunteering at Alumni events as a student and I wanted to continue to do so as an Alum! I will be forever grateful to Oneonta for giving me the most amazing college experience and for introducing me to some of my best friends! I look forward to being a Loyal Red Dragon for many years to come. Once a Red Dragon always a Red Dragon! 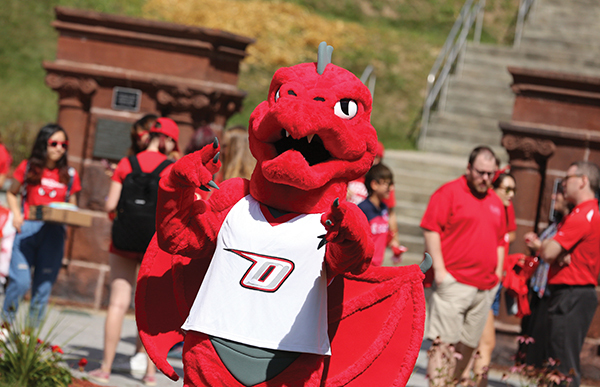 Learn more about becoming a Loyal Red Dragon. 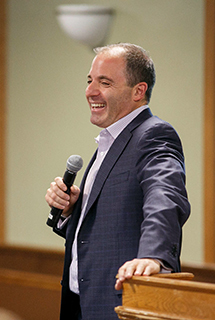 I would like to extend my congratulations to [Alumni of Distinction honoree] Scott Salmirs ’84, who has been recognized with Beta Gamma Sigma’s 2019 Business Achievement Award. 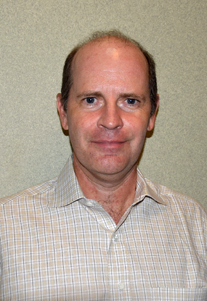 Scott is the president and CEO of ABM Industries, a leading provider of facility solutions. He was nominated by SUNY Oneonta’s Beta Gamma Sigma chapter for this prestigious award, which honors individuals for significant achievement in business. Salmirs will be officially announced as an award winner during Beta Gamma Sigma's Deans’ Luncheon held at the Association to Advance Collegiate Schools of Business (AACSB) International Conference and Annual Meeting in Edinburgh, Scotland, on April 14. AACSB is the association that accredits the college’s business programs. ABM Industries appointed Scott president and chief executive officer in March 2015. ABM is a global Fortune 500 organization with over 130,000 employees, revenues of approximately $5.5 billion, and more than 350 offices in the United States and abroad. Under Scott’s leadership, ABM initiated a transformational strategy that has increased revenue by $600 million and market value of the organization by 40 percent, as reported in fiscal year 2017. The company has received numerous industry accolades, including being recognized as one of the best employers for new graduates by Forbes magazine, Silver Winner for Comeback Company of the year by Best in Biz, and one of America's best places to work by Modern Healthcare. These recent accomplishments follow Scott's distinguished record as executive vice president at ABM and as a senior leader with other firms. Join us for SUNY Oneonta’s Day of Giving 2019! 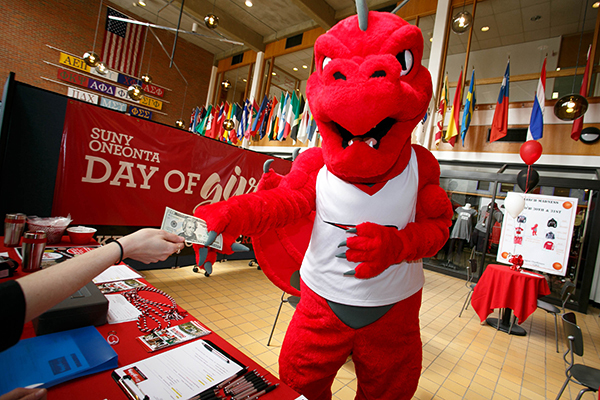 On March 21, SUNY Oneonta will celebrate its annual one-day giving challenge. 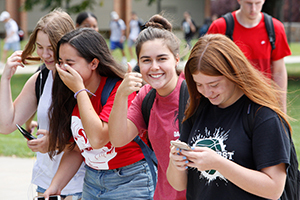 Oneonta's Day of Giving is a fun and inspiring virtual coming-together of Red Dragons all over the world to unite around a common goal and make an enormous difference in a span of 24 hours. Oneonta alumnus Phil Carpenter ’64, ’67 has issued a very generous challenge to the SUNY Oneonta community. 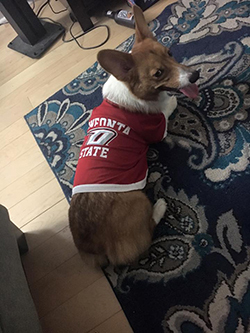 He will match the first $25,000 in gifts made by alumni, faculty, staff, students, parents and friends on our Day of Giving! Beginning at midnight (EST) on March 21, all gifts of any size to any designation will count toward the challenge. We also have a special social media challenge from the SUNY Oneonta Student Association. If we reach 321 posts or shares of #ONEONTATHANKS on March 21, the SA will donate $5,000 to the Fund for Oneonta on the Day of Giving! But remember, we only have 24 hours to reach both of these goals, so visit oneontaalumni.com/challenge on March 21 to learn more about our challenge donors, track our progress, and make your gift. SUNY Oneonta first year student Benjamin Reynolds ’22 chased his dream job right out of high school. Just a few months later, he got it. 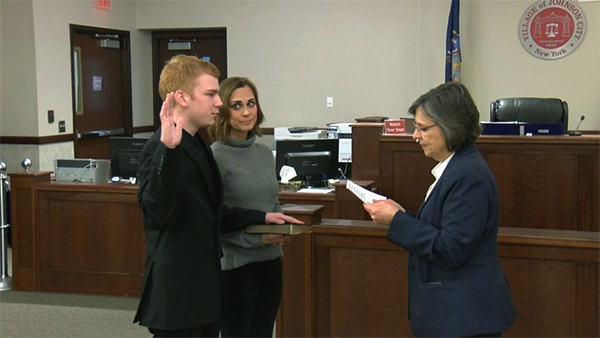 On January 1, 2019, the 19-year old Reynolds was sworn in as a Johnson City Board of Trustees member. He is the youngest elected official in Broome County – and one of the youngest in the state. During the summer and fall of 2018, he worked hard to communicate with voters, knocking on doors and making phone calls. On Election Night, the count had him up by five votes – but there were still 300 absentee ballots to be counted. In December, he found out that he had won. “What I hope to prove to people now that I’m on the board is that young people have a voice and it’s worth listening to,” Reynold told WBNG News during his swearing in. Currently, Reynolds lives on campus in Oneonta but commutes back home to fulfill his board duties. Thanks to a gift from Kent Newhart ’77 students in Dr. Kai Chen’s Portfolio Management class will apply what they have learned by managing a small account of SUNY Oneonta College Foundation assets. Hands-on academic work is not new for economics and business students, who have engaged in a mutual funds project since fall 2006 in conjunction with finance courses. They have evaluated the performance of mutual funds held by the College Foundation and made recommendations about buying, selling, or holding mutual funds. But this was only a simulation exercise, culminating in a presentation to Foundation board members, College Advancement and Finance and Administration staff, and SEB faculty. The shift to funds that will actually be managed by students is a new step in applied learning – and could not have been undertaken without the gift from Newhart. 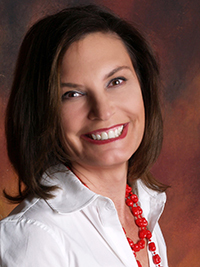 Newhart, who was a business economics major, is the President of the ATA Financial Group. This project will encourage student engagement in projects outside the classroom that foster project conceptualization, design, execution, and evaluation. “The student-managed portfolio moves to a new level of engagement, motivation, and learning for the students by establishing a fund for them to manage,” Dr. Wade Thomas, Dean of the School of Economics and Business, said. “Likewise, our Bloomberg Terminals will see increased applied use by the students to collect data, analyze, and track investments. Investment research, decision making, data analysis, teamwork, and accountability will be more realistic and active.” This student-managed fund will follow the existing investment policies, approval process, and transaction processes of the College Foundation. The investment returns of the student-managed portfolio are proposed to be retained in the portfolio or expended for purposes that are consistent with the Newhart Fund. 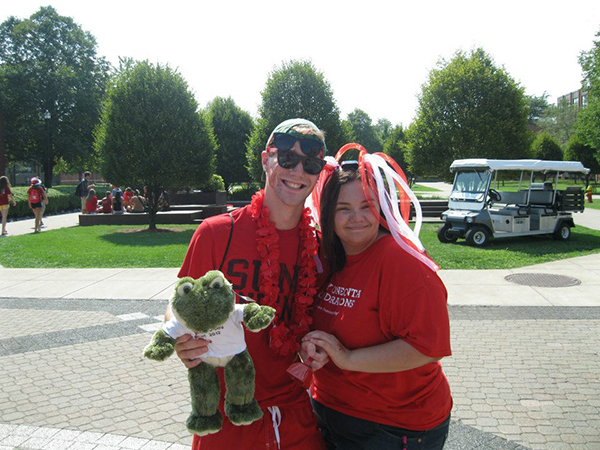 I’m a Loyal Red Dragon because SUNY Oneonta has given me so much more than just a college experience. Oneonta helped me realize my leadership potential, and catapulted me into a career in Student Affairs; something I will always be grateful for. Oneonta gave me a home away from home and a family. The Ultimate Frisbee Team (SOFA and LoveSeat) just celebrated another Alumni Reunion weekend, and with current team members, we exceeded 140 attendees. I’ve met so many incredible and inspiring people during my time as a student at Oneonta, and I do my best every day to carry on the legacy they’ve instilled in me. I can’t help but smile at the mention of Oneonta. I will be forever grateful for the people and memories from my time as a Red Dragon. 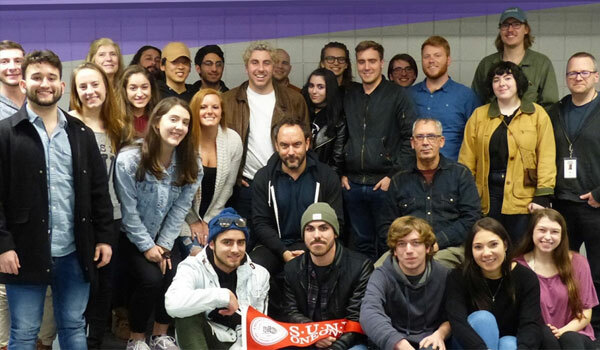 More than 20 SUNY Oneonta music industry students and two faculty members got a behind-the-scenes tour of a Dave Matthews Band concert on Dec. 5, 2018, at the Albany Times Union Center – and it included a surprise Q&A with Matthews himself. The trip came about through a connection with Rit Venerus ’10, the band’s business manager. Venerus is founder and president of Cal Financial Group, a business management firm that serves entertainers in music, film, and television, as well as professional athletes. Music Professor Janet Nepkie, who accompanied the students on the tour, remembers Venerus from her Legal Issues in the Music Industry class. Nancy Tarr ’87, music industry lecturer, works with Venerus on a music industry internship nonprofit partially funded by the Bonnaroo Works Fund. The group spent four hours touring the venue and meeting with staff involved in various aspects of the production. Most of the employees had been with the band more than 20 years. 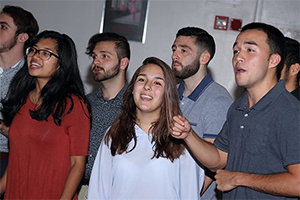 When Dave Matthews walked into the room, no one was more surprised and excited than Oneonta Future Alumni Network student Natalie Costanza ’20, a longtime fan who has seen the band five times. Before posing for a group picture, Matthews pulled up a chair and answered questions ranging from why he has always allowed “tapers” to record and share his live music, to how he maintains his creative spark. The entire group got pit wristbands and watched the concert a few rows from the stage. The 2+-hour show included four songs from the band’s most recent album, which was released in June and made DMB the first group in history to have seven consecutive albums debut at No. 1 on the Billboard 200. SUNY Oneonta continues to go green by partnering with the New York State Energy Research and Development Authority and the Dormitory Authority of the State of New York to convert Ford Hall into a net-zero building. It will be the first of its kind in the SUNY system – but the goal is to replicate the retrofit in resident halls across the state. A net-zero building produces as much energy onsite from non-fossil fuel sources as it consumes each year. Why am I a Loyal Red Dragon? 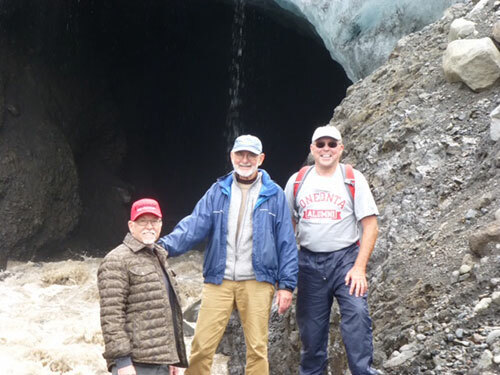 John Fusco ’72 is a Loyal Red Dragon because it keeps him connected to lifelong friends. There will be three new options for SUNY Oneonta students when the next academic year rolls around: Exercise Science, Art and Design, and Women’s and Gender Studies. The Exercise Science BS program will focus on nutrition and kinesiology and their applications to health, wellness, fitness, and sport. Graduates will be prepared for health fields like corporate, community, or hospital programs as well as exercise physiology and cardiac rehab. They will also be eligible to take certification exams, like those offered by the American College of Sports Medicine and the National Strength and Conditioning Association. Students with an interest in the visual arts will be able to earn a BFA in five Art and Design concentrations: Digital and Studio Art, Animation and Illustration, Graphic, Web, and UI/UX Design, Photography and Visual Culture. This program will prepare graduates for a career in the arts or a Master of Fine Arts program. The new Women’s and Gender Studies major looks at gender and sexuality as defining categories of human experience. Course work includes core classes in feminist theories and research methodologies in addition to examining ideas about femininity and masculinity across diverse historical periods and cultural contexts. In addition, the curriculum highlights the lenses offered by gay, lesbian, queer, and transgender perspectives. You can find out more information at the SUNY Oneonta College website. 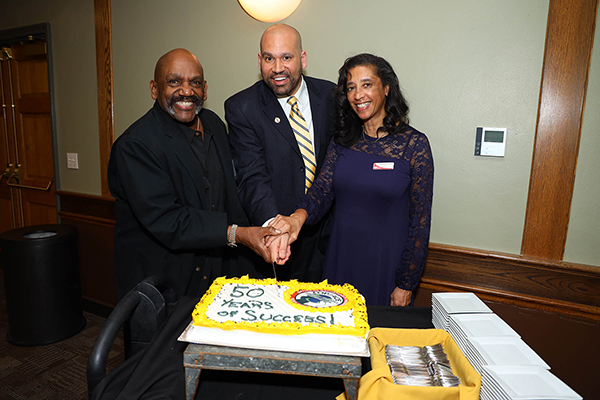 Former EOP Directors Stanley Morris (left) and Lynda Bassette-Farone (right) cut the EOP 50th Anniversary cake with current EOP Director, Glenn Pichardo '02 (center). 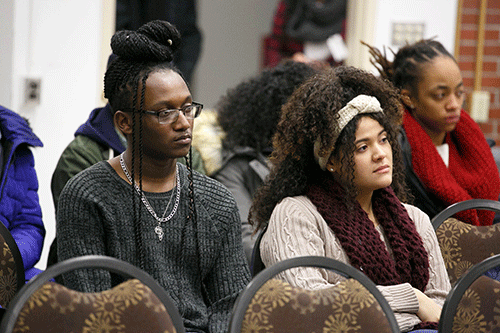 The SUNY Oneonta Educational Opportunity Program (EOP) celebrated its 50th anniversary in November. 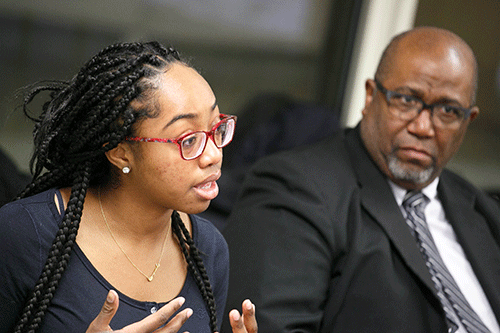 EOP is a SUNY-wide organization that serves thousands of students, all of whom may not meet the traditional standards for admission but possess the desire, potential, and talent to earn a college degree. On our campus, these students receive individual attention from professionals in the office. in Oneonta’s history in 1968. Tatiana Thervil enjoy the festivities. 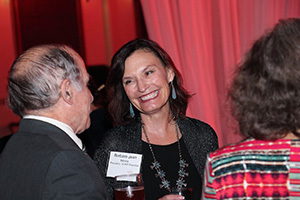 During this celebration, which was largest EOP alumni event to date, Stanley Morris, Lynda Bassette-Farrone, Cheryl Peeters, Carole Rooney, Edward “Bo” Whaley ’75, Jacqueline Hesse ’78, and Yvonne Cummings ’72 were inducted into the group’s Hall of Fame. Mirabito (right), Senior Advancement Officer. 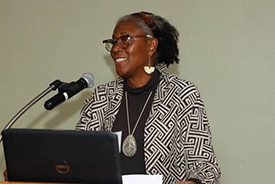 significant bequest to fund EOP Scholarships. Become a Loyal Red Dragon today! 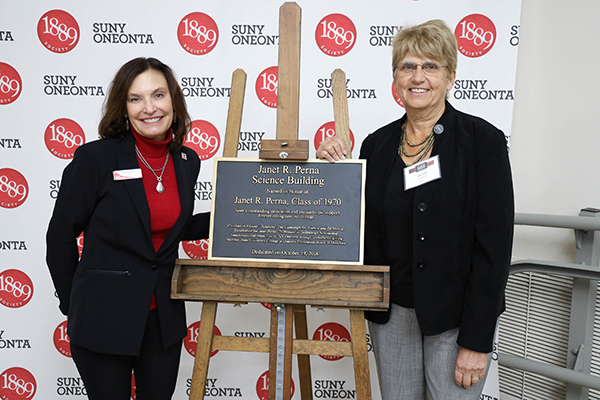 On October 19, 2018, the SUNY Oneonta community celebrated the renaming of the Science One Building to the “Janet R. Perna Science Building,” recognizing the philanthropy of Janet Perna ’70. The building is home to the biology and Earth and atmospheric science departments, as well as classrooms, labs, and the planetarium. Perna graduated from SUNY Oneonta with a bachelor’s degree in math, which she taught in Middletown, New York until 1974. She left teaching to work for IBM in San Jose, California, and was responsible for the company’s billion dollar Informational Management division. In 2001, she was inducted into the Women in Technology Hall of Fame. Currently, she serves on the Solace Systems Board of Directors and is technology advisor to BridgeGrowth Partners, Georgian Partners, and Centana Management. 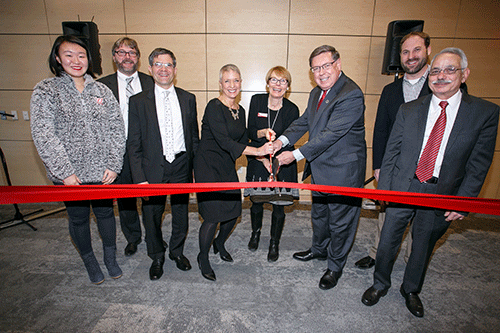 “Perna’s gift is a powerful testament to her belief in the SUNY Oneonta Foundation’s sound fiscal policies and her trust that we will be thoughtful and prudent while advancing the mission of our great college,” SUNY Oneonta President Barbara Jean Morris said. Tracy Allen, the interim dean of the school of sciences, agrees that this gift will have a lasting impact on SUNY Oneonta students. “Janet R Perna is leaving an indelible mark on this building, but, more importantly, on the bright futures of students who will discover and explore the wonders of science within these walls,” Allen said. “My belief in the importance of education was instilled in me by my parents who did not have the benefit of a college education,” Perna said. “They expected that I would go to college and saved and sacrificed for me to attend. That was the greatest gift they could have given me for it transformed my life and has made it possible for me to help others transform theirs.” One of Perna’s first scholarship recipients Michele Daly ’10 spoke about how receiving that support transformed her life. She has earned her doctorate and now works at the Centers for Disease Control and Prevention doing HIV research. SUNY Oneonta turns 130 years old in fall 2019. 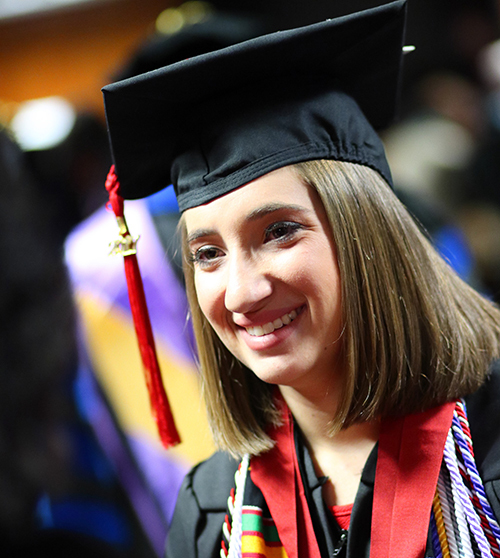 In honor of this milestone birthday, the Alumni Association will recognize 30 of our most notable recent graduates who are under the age of 30. Award winners will show exceptional achievement and significant contributions to their profession, their community, or the College. Nominees must be a graduate of SUNY Oneonta. Nominations must include the nominee’s full name, class year, address, phone number, and e-mail address. Please also include your contact information in case the committee has any questions. Nominations should be no longer than 750 words. Include a description of the nominee's leadership qualities, honors, accomplishments, and other supporting information which you believe show exceptional achievement and significant contributions to their profession, community, or the College. Nominees must be under 30 years of age on March 15, 2019. Honorees will be announced notified and announced in Summer 2019. 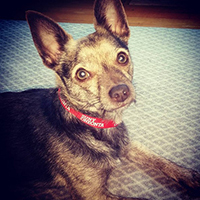 You're already a loyal member of the Red Dragon family. Make it official and get special perks! 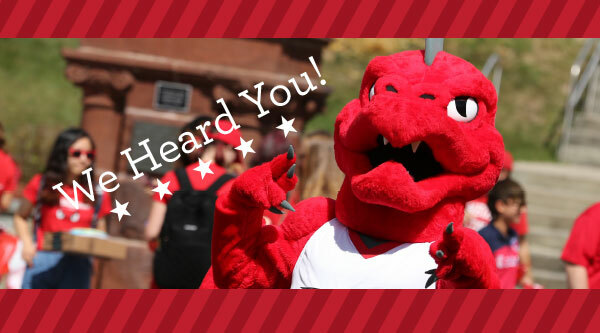 As a Loyal Red Dragon, you will be recognized for your deeper involvement in the college community. Plus, we will help you stay connected to your alma mater, informed of the latest college news and activities, and keep in touch with your fellow alumni. Football-loving Red Dragons can see the Buffalo Bills in action in December at a discount. You can choose either December 16’s game against the Detroit Lions or the December 30 game against the Miami Dolphins. While we can’t promise that ticket-holders will see one of Kyle Williams’ pre-game speeches or that Josh Allen will be back on the field, we can promise a fun time in Orchard Park. Click the links below to find out more. 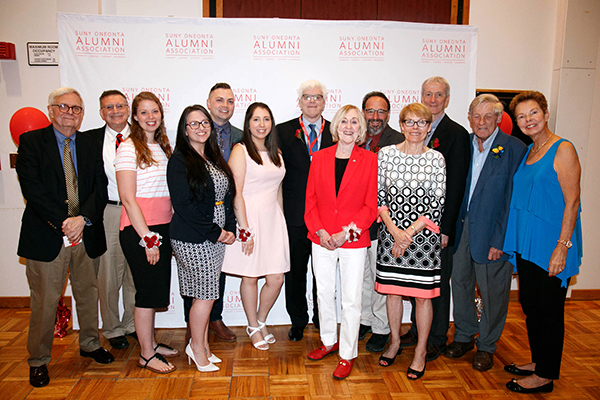 The SUNY Oneonta Alumni Association hosted the 2018 Alumni of Distinction Presentation of Honors on September 28 in the Hunt College Union Ballroom. Over 100 individuals, including former and current faculty and staff, fellow alumni, friends and family joined the celebration. The event featured music from Blues Maneuver, a popular local area band, Tim Newton, Associate Professor of Music and Choral Director, and the English Choral Experience singers who had just returned from a trip abroad, as well as a welcoming performance from Hooked on Tonics, the college’s acapella group. The spirit of the event was festive, glamorous, and filled with laughter and excitement. 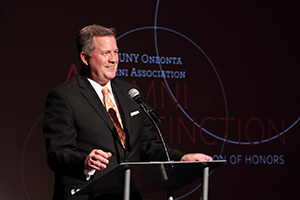 Alumni of Distinction honoree Greg Floyd ’80 was the evening’s host while several members of the SUNY Oneonta Alumni Association board of directors returned to campus to participate in the presentation. greets alumni at the reception. Alumni of Distinction presentation of Honors. played emcee for the event. 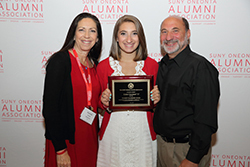 For complete descriptions of each award visit our website at oneontaalumni.com/alumni-association-awards. Please submit letters of nomination to the Office of Alumni Engagement via email at alumni@oneonta.edu no later than October 31, 2018.
a description of the leadership qualities, honors, accomplishments, and other supporting information that qualify the nominee for the award. The nominee’s full name, class year, address, phone number, and e-mail address. The Annual Alumni Association Awardees will be honored during Reunion Weekend, June 7-9, 2019. There is a separate nomination process for our Alumni of Distinction program. The Alumni of Distinction recipients are honored at a celebration held every fall. Please visit www.oneontaalumni.com/alumniofdistinction for more information about the criteria for the award and to nominate an individual for this honor. A sea of red covered the city of the hills during Family Weekend in September, when a record number of families participated in the celebration’s events. A stand-out for me was the legacy breakfast on Saturday morning hosted by our Alumni Association. 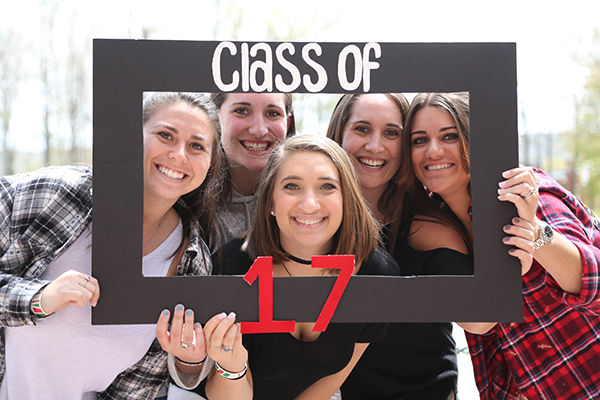 Generations of SUNY Oneonta graduates gathered together, shared stories new and old, and snapped pictures with their extended families. As I listened to the stories, I was struck by how thankful the alumni are to be a part of SUNY Oneonta. They discussed how their experiences here changed their lives. They shared a strong sense of pride for their alma mater. Everyone I spoke with related how happy they were that their children, nieces, and nephews were able to share in that experience. That joy was captured by the long lines in the Red Dragon Outfitter as families bought matching SUNY Oneonta gear. Sharing that connectedness of being part of SUNY Oneonta by wearing red brings us together. Whether you are a newcomer like me or a member of a generational family, SUNY Oneonta is a source of pride and joy. We care about its past and future. 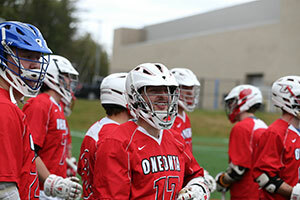 That ethic of care is what binds us a family and makes us proud to wear Oneonta red. 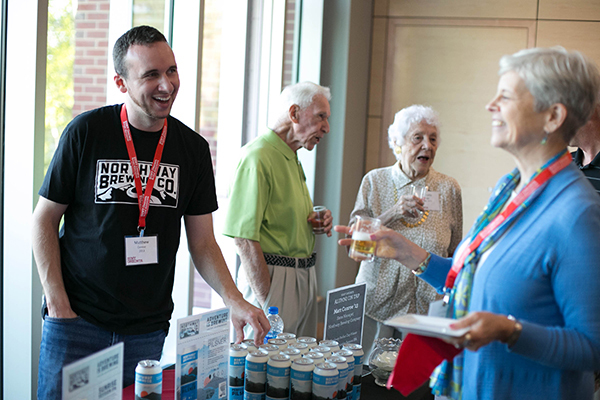 SUNY Oneonta alumni celebrated their alma mater with specialty brews and snacks at the new Welcome Center on Friday, Sept. 7. Britney Liddell ’08, beer coordinator & brewery ambassador for Brewery Ommegang, Lauren Ward ’16, manager of Cooperstown Brewing Company, Matt Conroe ’13, state manager for Northway Brewing Company, and Patti Wilcox `12, co-founder Gravity Ciders, poured for the more than 65 alumni and friends. 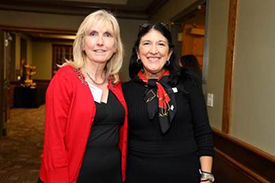 Kathy Meeker ’78 enjoyed learning about her fellow Red Dragons. 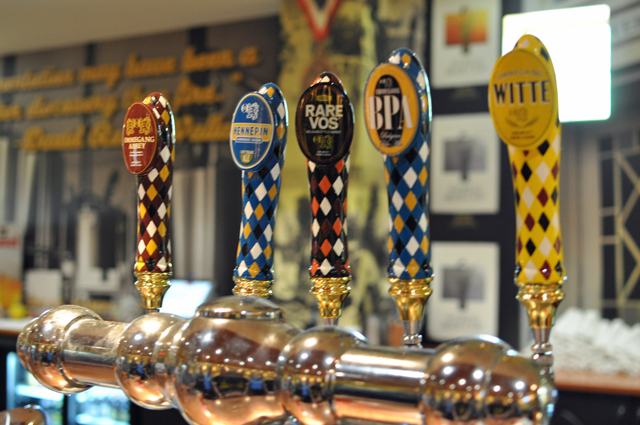 View photos from our Alumni on Tap event. The new school year kicked off with our traditional Pass through the Pillars and Red Day, the college’s birthday celebration. This year, however, we added a little extra excitement to move-in day. Some first year students had a surprise waiting in their home-away-from-home: a letter from a past resident. We put out the call for letters from alumni to new students back at the start of August. More than 70 letters hit our mailbox. The oldest was from an alumna who lived in Littell in 1965. Many letters contained advice on what to do during your four years on campus, like “Visit College Camp” and “Go to Class.” The local news ran a story on this new program. For a complete overview of the start of the 2018-19 year, check out this story. Click here to check out all the photos from Pass Through the Pillars, and Red Day 2018. I have spent my first couple of months here getting to know people, figuring out how to navigate campus, and just getting the lay of the land. My initial impressions of the college and community have been confirmed: this is a friendly and welcoming place. There truly is a dedication and a community of care. I am pleased to report that the college is fiscally sound. Enrollment is strong. Diversity, especially among students, continues to increase. Investment in sustainability is substantial. 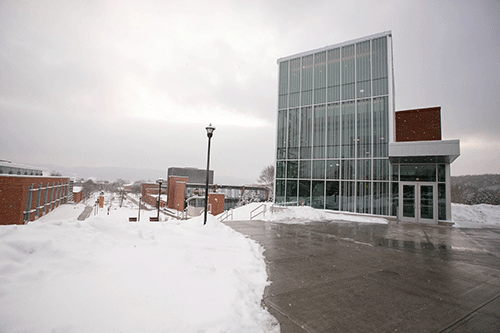 The campus’s relationship with the City of Oneonta remains healthy. The College at Oneonta Foundation’s endowment of $60 million stands as the largest among SUNY comprehensive colleges. 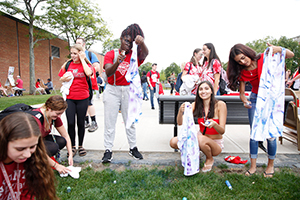 The campus community welcomed our newest class of first-year students. The Class of 2022 has an impressive academic profile. From an applicant pool of over 13,000, we have drawn a group that has an average overall high school grade of 90.6 and average SAT score of 1130. Nearly 30 percent of this year’s freshmen are students of color and almost 34 percent are first-generation students. Additionally, the culture of philanthropy at our college has never been stronger. Last year, we raised a record $4.2 million in gifts and grants, and charitable giving funded scholarship awards totaling over $2 million for the first time. Additionally, we raised new funds for student research, internships, global experiences, and the Student Emergency Fund. I am grateful to have come to an institution that is both capable and stable. To me, this demonstrates that the entire campus community shares a genuine commitment to the college and its well-being. Largely because of the timing of my arrival, my first year as president will be one of transition at SUNY Oneonta. The college’s current strategic plan was initiated in 2015 and envisioned as a three-year undertaking. 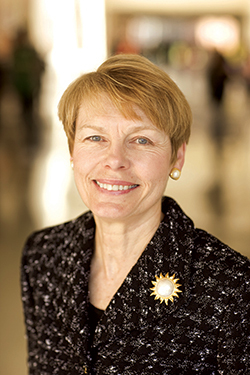 Dr. Kleniewski, who had announced her retirement in April 2017, deferred further strategic planning to her successor. I have started a listening tour and to get acquainted with the culture, people, and community. This first year will provide context for a future strategic plan. As a prelude, I have identified, with advice from my Cabinet, several priority activities for 2018-2019 to bring closure to the 2015 strategic plan. In addition, we will finalize an audit of the institutional results produced under the 2015 plan. The campus will reflect on the accomplishments of the last three years, build upon successes, and ensure that our efforts are consistent with the chancellor’s vision for SUNY. As one strategic plan ends and we begin to think about another, our challenge continues to be finding the best way to future-proof the college. We are grateful to all of you for your past support. We look forward to having your future investments of time and financial resources as we continue to strengthen the SUNY Oneonta. For complete descriptions of each award as well as lists of past winners, visit our website at oneontaalumni.com/alumni-association-awards. Please submit letters of nomination to the Office of Alumni Engagement via email at alumni@oneonta.edu no later than October 21, 2018. Nominations should be no longer than 750 words and should include a description of the leadership qualities, honors, accomplishments, and other supporting information which qualify the nominee for the award. In addition, please include the nominee’s full name, class year, address, phone number, and e-mail address. There is a separate nomination process for our Alumni of Distinction program. 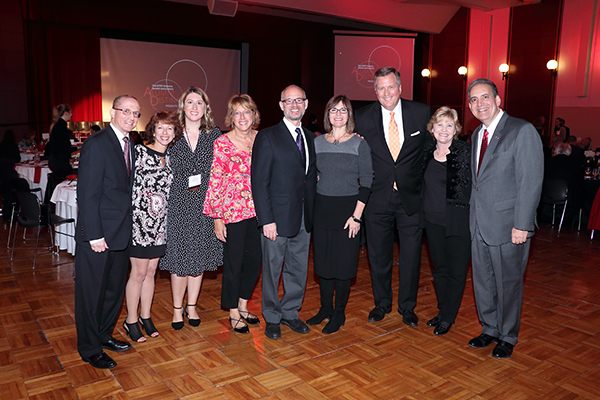 The Alumni of Distinction recipients are honored at a celebration held annually in the fall. Please visit www.oneontaalumni.com/alumniofdistinction for more information about the criteria for the award and to nominate an individual for this honor. Was your freshman room in Tobey, Golding, Littell, Wilber, Hulbert or Hays Hall? If so, we want you to write a letter to the new students moving into your old room! Students whose room corresponds with an alumni letter will be surprised with a warm message when they arrive on campus next week. If you lived in one of the halls listed above but don’t remember your room number, no worries! We will randomly select a room number in the hall where you lived to receive your message. You can send your letter via private message to the SUNY Oneonta or Oneonta Alumni Facebook page or email your letter to the Office of Alumni Engagement. Please respond by Monday, August 20! It is hard to believe that my first month in office is ending. My initial impressions of the college and community have been confirmed. This is a friendly and welcoming place. There truly is a dedication and a community of care. My days have been filled with meeting many people on and off campus. I have really enjoyed visiting offices across campus and in the community. I look forward to continuing this in the weeks and months ahead as I continue my listening and learning tour. One early highlight for me was greeting the EOP, ACE, and CAMP students and their families and meeting with the staff who support these important groups. 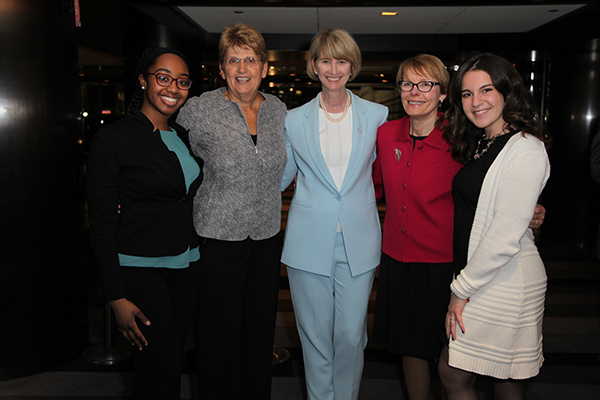 Another highlight was SUNY Chancellor Johnson’s visit to campus. I appreciate the wonderful turnout and the warm welcome she received. We packed the Welcome Center and had a great dialogue about how our work on the chancellor’s four themes—Sustainability, Innovation and Entrepreneurship, Individualized Education, and Partnerships—will help advance SUNY. What she really enjoys the most about her role is the problem solving. Liddell is the one who makes sure the beer gets from the brewery to wherever it needs to go, whether that is a bar down the street in Cooperstown or across the country for a special event. Her first job after graduation with a business economics degree was at NBT bank, where she got the customer service experience to land the job at Ommegang. Right now, she’s working on the logistics of helping thirsty drinkers coming to a series of Phish shows near Watkins Glen this summer. “The reward of solving any issues that come up in production and distribution is that I’ll go on social media in a few weeks and see happy people with our Nirvana beer in their hands,” she says. Lauren Ward ’16 is working just down the road from Liddell. She’s running Cooperstown Brewing Company’s Milford Tap Room, which means her day includes everything from being a general bartender to ordering beer and merchandise to managing staff and schedules. Matt Conroe ’13, state manager for Lake George Brew House, and Patti Wilcox `12, co-founder Gravity Ciders, will also pour their ciders, ales, lagers, and porters at the Alumni on Tap event. Come and taste what these alumni have been brewing up. Visit our webpage for more information.. Welcome to SUNY Oneonta’s New President! Fellow Red Dragons! On July 1, 2018, Dr. Barbara Jean Morris officially became the president of SUNY Oneonta. Please join me in welcoming her to our alma mater. I was one of the team who served on the search committee to find a replacement for the retiring Dr. Kleniewski. What impressed me most about Dr. Morris was her focus on nurturing a collaborative learning environment that supports faculty and student development, academic excellence, and community involvement. Her focus and SUNY Oneonta’s core values of excellence in teaching, learning, and scholarship are well aligned. Like me, Dr. Morris was a political science major. Dr. Morris comes to us from Fort Lewis College in Colorado, where she was the provost. Before that, she was a dean at The University of Redlands, where she also served as Government Department Chair. Dr. Morris chose to drive from Colorado to Oneonta this summer and was able to retrace her roots on the Bell Route of the Trail of Tears. Dr. Morris shared with me that she is looking forward to working with the Alumni Association. The feeling is mutual. I am happy we are off to an encouraging start. There will be opportunities for alumni to meet Dr. Morris at future events. 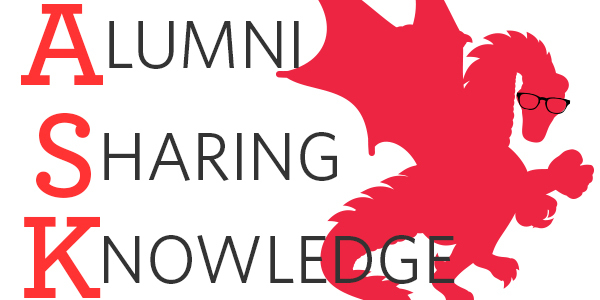 Do you know a Red Dragon who excels in their field or always shows their Red Dragon pride? Tell us about them when you nominate them for an Alumni Association award. 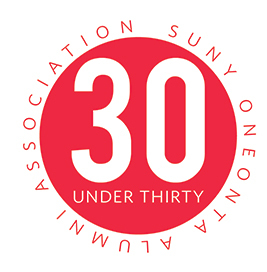 The SUNY Oneonta Alumni Association has established awards in several categories to honor those alumni who bring distinction to themselves and to our alma mater through their outstanding personal and professional achievements. These awards are presented annually at a ceremony held during Reunion Weekend. View a list of 2018 Alumni Association Annual Award Recipients. View a listing of past winners . Find out more information about how to nominate someone for an Alumni Association Annual Award. Our alumni have a wealth of knowledge about a wide variety of topics, and we want to hear from you! We’ve started a blog so that your hard-earned insights can be shared. 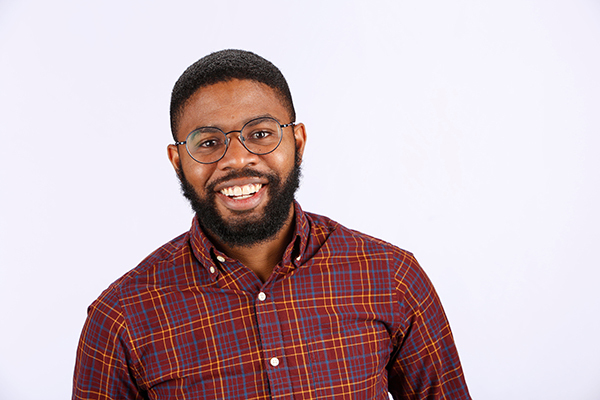 The latest post is from Kevin Sutton ’16, the coordinator of the Making Cent$ Financial Literacy and Wellness program on campus. Let Kevin walk you through how to make a budget in five easy steps. If you think you have some useful information to share, please fill out this form and our blog coordinator will reach out to you. 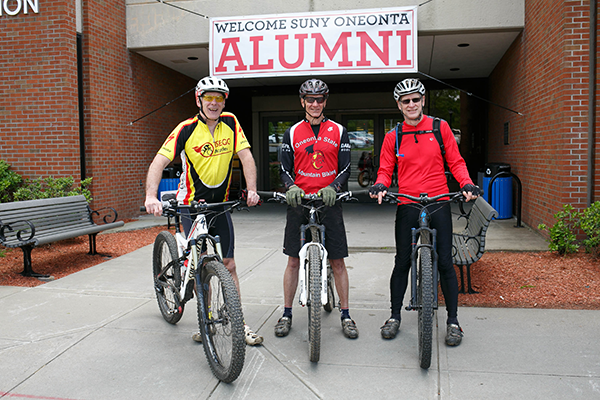 Alumni and friends gathered in Oneonta to celebrate Reunion Weekend 2018, June 8-10. 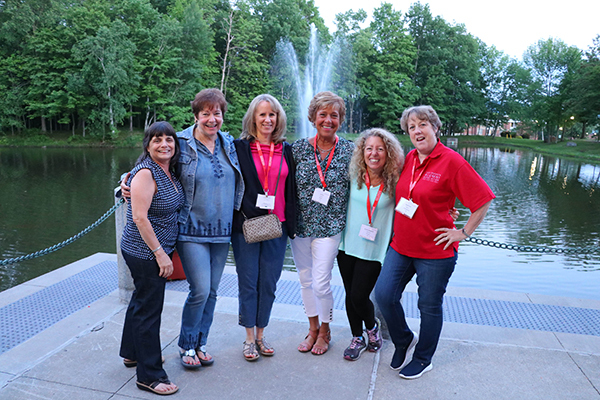 More than 600 alumni, family, and friends came back to campus June 8-10, 2018, to celebrate Reunion Weekend in the place where so many stories began. Thank you for coming back! Red Dragons spent the weekend enjoying many (many!) meals, tours of the campus, hikes from College Camp, and golf and tennis tournaments. They went Back to the Rat and had SOURS at the Fox. Even with all of the fun things to do, the best part might have been the time spent just hanging out with each other. 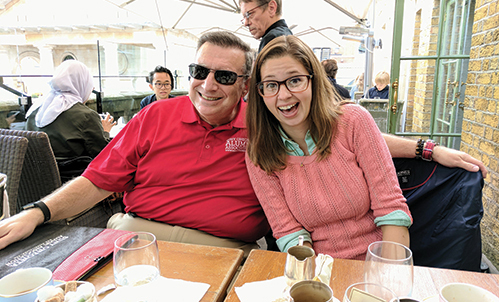 “Meeting up with long ago friends is more than enough, but the college provided the format and the events to make it even more relevant and special,” wrote Jerry D’Anneo ’74. There were affinity reunions, too. 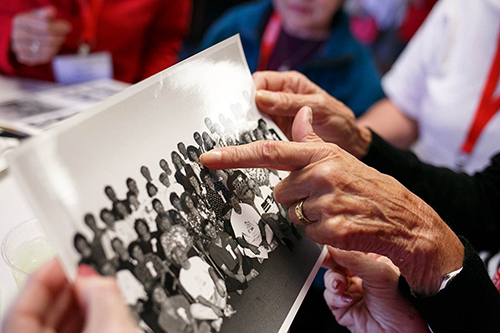 The Class of 1968 celebrated their 50th reunion. According to Barbara Terry Charnews ’68, they had plenty to do. Our thanks go to Bill Bogatz ’74 who took on the tennis tournament and to Paul van der Sommen ’76 who has offered the Oneonta Tennis Center to us for a decade. We’d also like to thank Donglei Li ’18, Roland Holstead ’67, Maureen Artale ’98, Ryan Harrington ’04, Deb Sperano ’95, Diane Williams ’84, Ed Lorenz ’81, Kevin Sutton ’15, Wayne ’91 and Rebecca ’90 Carrington, Robert Shelton ’71, Julie Beers ’98, George Moussa ’89, Tim Sheesley ’77, Doug Reilly, Dave Ring, Josh Nollenberg, and Heather Beach. If you’d like to help us make Reunion Weekend 2019 (June 7-9, 2019) the biggest party of the year, get in touch. We’re looking for class chairs and volunteers. Be sure to save the date! 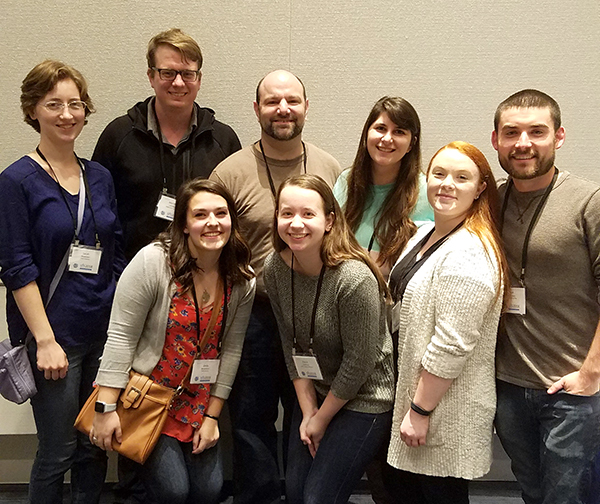 SUNY Oneonta was well represented at the annual meeting of the Society for Freshwater Science in Detroit. In this photo are (top row) Sarah Newtown ’15, Matthew Lundquist ’10, Heilveil, Jennifer Piacente ’15, Matthew Robinson ’16. (bottom row) Emily Berezowski ’15, Alyssa Rothfuss ’15, Nicole Pedisich ’15. Madeline Genco ’14, not pictured, was also present and now works at the environmental management bioassessment unit in Indianapolis. Shortly after this picture was taken, Rothfuss learned she’d be working for the New York State Forensics Lab in Albany. Missing from the picture, but present, is Madeline Genco, who just finished her MS in Entomology from Clemson and is starting a position with the department of environmental management bioassessment unit in Indianapolis on the 28th. At the conference, Lundquist, Berezowski, who received support from the D’Antonio Fund for travel, and Piacente presented posters. Rothfuss, Newtown, Genco, and Heilveil gave talks. We’re now accepting nominees for the 2019 class of Alumni Awards. Nearly 1,700 candidates for bachelor's and master's degrees graduated on Saturday, May 12, at the Alumni Field House. This year’s speaker was Charles E. Bogosta ’80, who is a leader in global healthcare management. Over the course of two decades of service to the University of Pittsburgh Medical Center, he has distinguished himself for exceptional work establishing hospitals, research centers, cancer institutes and laboratories. In his current role as the Medical Center’s executive vice president, Bogosta is responsible for the strategic, operational and financial activities of institutes and centers in 11 countries. An expert on global partnerships within the healthcare industry, he has served as a panelist for the World Hospital Congress. Eleven members of the college community were recognized by the SUNY Chancellor for their work during the 2017-18 academic year. They are Susan Clemons, Rebecca Harrington, Sallie Han, April Harper, Keith Jones, Brian Lowe, Debra Schwartz, Kayla Belush ’18, Daniel Prince ’18, Jonelle Reyes ’18, and Anthony Vecere Jr. ’18. Congratulations to all of our newest alumni! View photos of Commencement 2018. On May 2, graduating students were honored at the Academic Achievement Awards Reception at the Milne Library. Both graduate and undergraduate students were chosen based on their academic excellence and their demonstrated leadership in their department, campus or community activities as well as their intellectual acumen and originality. 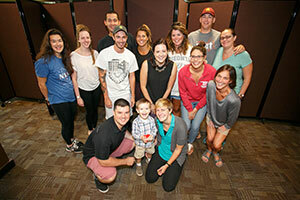 Seven graduate students and 51 undergraduate students received accolades. 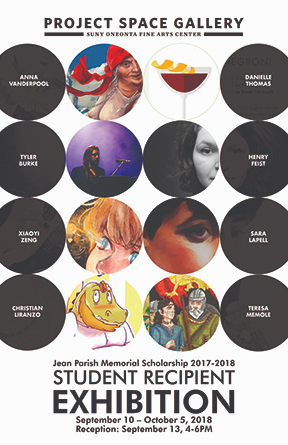 Individual honorees will have their name placed on an Alumni Association bookplate, which will be placed in a new book related to the student’s major. 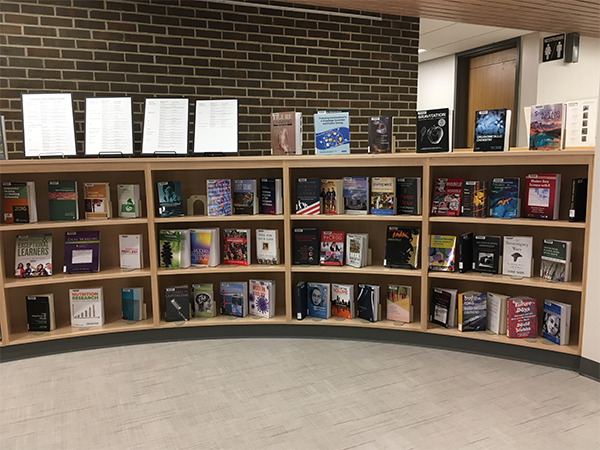 Currently, those books are on display on the first floor of the library, where they can be perused during Reunion Weekend. Reunion Weekend is just around the corner! The fun starts on June 8 in Oneonta. While the main draw is hanging out with your fellow Red Dragons, there are plenty of other interesting opportunities for those who come to the biggest party of the year. Did you know we offer a Saturday night dinner option that comes with a sommelier who will guide you through a tasting and selecting the perfect wine? Did you know that our Red Dragon 101 series will offer seminars on financial planning, the college’s history, and volunteerism? Not only can you expand your mind and your palate, you can also get a little exercise at our golf or tennis tournaments or on guided walk through the woods. Now is the time to register! Visit our Reunion webpage for more information. SUNY Oneonta’s Day of Giving 2018 was an overwhelming success. More than 940 alumni, faculty, staff, students, parents, and friends made a gift. The success of the day was enhanced by generous challenge donors who pledged their support based on the number of individuals who stepped up during the 24-hour fundraising event. The challenge began at midnight on Wednesday, April 25, when four members of the College at Oneonta Foundation Board of Directors issued the first challenge. By mid-afternoon, more than 425 donors had come forward to earn the $30,000 challenge pledge from Jan Ashley ’62, Andrea Casper ’75, Pat McCann ’75, and an anonymous donor. A new challenge launched when this target was reached. An additional $15,000 was promised by Marc Millian ’85 and Dorothy Lawson ’57 if 200 more donations were received. That target was achieved by early evening, prompting two more donors to come forward with another $10,000 challenge to secure 100 additional donors before midnight. That goal was also met with time to spare, securing gifts from Allen Marx ’78 and Jim Meyer ’83. We achieved great things during our 2018 Day of Giving. Donations totaled more than $155,000! SUNY Oneonta students and faculty are the grateful beneficiaries of this support. Thank you to all the alumni, students, employees, and friends who helped us to exceed our goal. We could not have done it without you! The next presidential farewell tour event takes place May 17 in Long Island (register here). The final presidential farewell will take place during Reunion Weekend, June 8 -10. 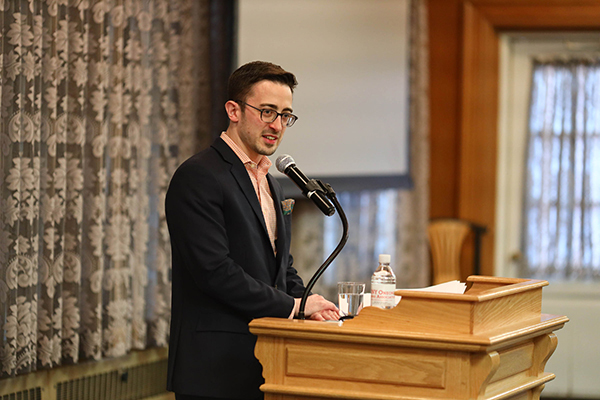 The Tapestry of Diversity and Inclusion Award ceremony honored Emmanuel Woolard ’18 and Pathy Leiva, College Assistance Migrant Program (CAMP) advisor in Craven Lounge at the Morris Conference Center. Join us for SUNY Oneonta’s Day of Giving 2018! 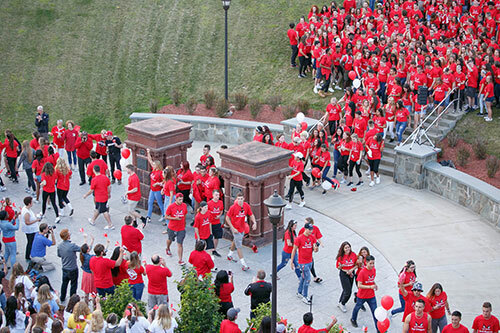 On April 25, join the SUNY Oneonta community for our annual one-day giving challenge. This is an opportunity for Oneonta supporters to make an enormous difference in a short period of time, uniting around a common goal. 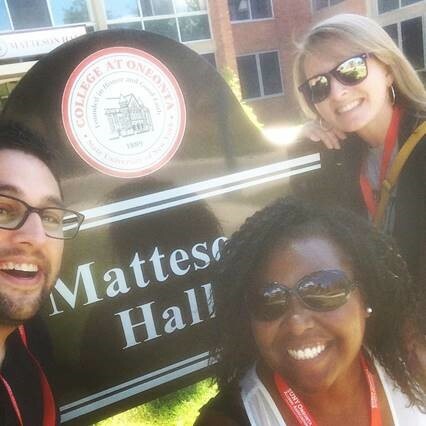 If 425 alumni, faculty, staff, students, parents and friends make a gift within 24 hours, four members of our College at Oneonta Foundation Board of Directors will make a combined $30,000 gift to the college! Jan Ashley ’62, Andrea Casper ’75, Pat McCann ’75, and an anonymous donor have pledged a combined $30,000 to the college if 425 alumni, faculty, staff, students, parents, and friends make a gift within 24 hours! 425 donors on 4/25 = $30,000! Beginning at midnight, all gifts of any size will count toward the challenge. But remember, we only have 24 hours to make this happen, so visit oneontaalumni.com/challenge to learn more about our challenge donors, track our progress, and make your gift anytime on April 25. 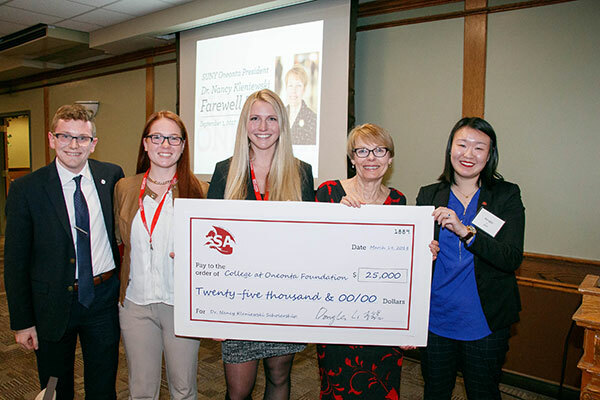 The Student Association contributed $25,000 to the Dr. Nancy Kleniewski Scholarship at a farewell tour event in Oneonta. SUNY Oneonta president Nancy Kleniewski visited the Capital-area and SUNY Oneonta in March as part of her farewell tour. Dr. K will retire in June 2018. In Albany, Daren Rylewicz ’93, the incoming president of the Alumni Association, served as master of ceremonies and introduced Patrick Brown '78, Chair of the College Council, and Vicki Graffeo ’74, Alumni of Distinction honoree, who both spoke about their relationship with Dr. Kleniewski and the College. 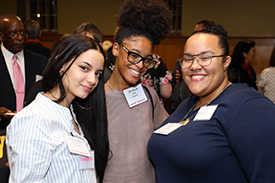 The Oneonta event featured Coleen Lewis ’96 and students Taylor DeMarco ’18, Jesika Lento ’18, and Donglei Li ’18, each of whom spoke about the time they have spent working with Kleniewski. Bill Pietraface, the night’s master of ceremonies, presented the outgoing president with her own portable chair while Lewis presented commemorative tour t-shirts to Nancy and her husband Bill Davis. At the end of the formal proceedings, Li presented a check for $25,000 to the President Nancy Kleniewski Scholarship, which will support first generation college students who have financial need. The last two events of Dr. K’s farewell tour will be in New York City on April 12 and on Long Island on May 17. One service that the Career Development Center (CDC) offers for all alumni is a credential folder, which is a secure, online home for material that supports your application for jobs and admission to graduate school, and includes letters of recommendation. The CDC will forward your folder to potential employers or graduate schools when you request it. 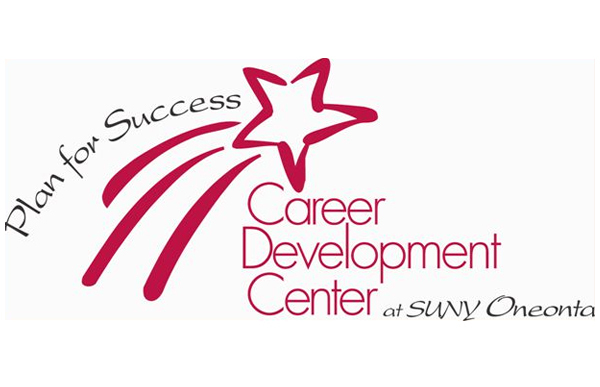 If you have questions about creating an Interfolio account, about credential folders, or about other services, please contact the Career Development Center at (607) 436-2534, or by email at career@oneonta.edu. If you want to learn more about Interfolio, visit www.interfolio.com or call their Help Desk at (877) 997-8807. The SUNY-wide Educational Opportunity Program (EOP) combines access, academic support and supplemental financial assistance to make higher education possible for students who have the potential to succeed, despite poor preparation and limited financial resources. 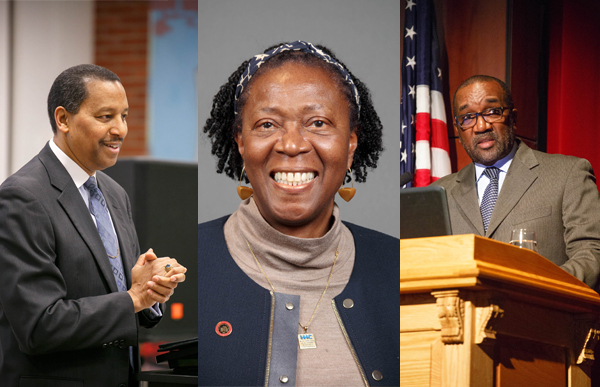 In honor of fifty years of service, EOP is recognizing accomplished alumni from Across the SUNY system. Three SUNY Oneonta EOP grads, and Alumni of Distinction honorees, made the list. Yvonne Cummings ’72 and Reginald Knight ’74 will receive the Distinguished Alumni Award. Stan Hansen ’75 will receive the Gold Alumni Honoree Award. The SUNY EOP graduates number more than 55,000 students. Most continue to live in New York, enriching its economic and social fabric. Among their numbers are physicians, teachers, scientists, engineers, attorneys, artists, entrepreneurs and public servants. And, many have returned to the State University as administrators and counselors who provide support to another generation of opportunity students. 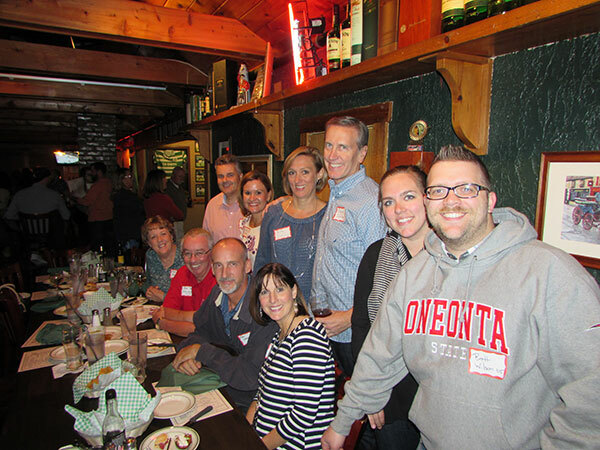 Register now to join the exclusive group of SUNY Oneonta Alumni: the Loyal Red Dragons! stay connected to SUNY Oneonta and your peers. Want in? Click here: www.oneontaalumni.com/LRDOneonta. 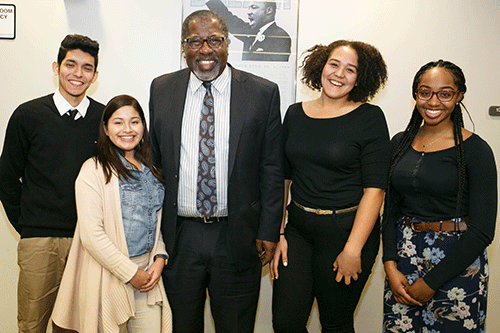 On January 18, Alumni of Distinction honoree Karim Adeen-Hasan ’77, the Assistant Comptroller in the Division of Diversity Management at the Office of the State Comptroller, spoke to students during the College’s annual celebration of the work of Dr. Martin Luther King, Jr. Adeen-Hasam discussed the power that students have to make change in his speech “Millennials: The Voice of Activism.” In front of an engaged crowd, he also reflected about the activism on campus when he was a student in the mid-1970s. Almost 12 years ago, the idea for a Welcome Center was born. On the first day of classes in January 2018, the building was opened to the public. The 7,800 square-foot building sits just above the Fine Arts Building, which gives it a million-dollar view of the quad below and the mountains on the horizon. 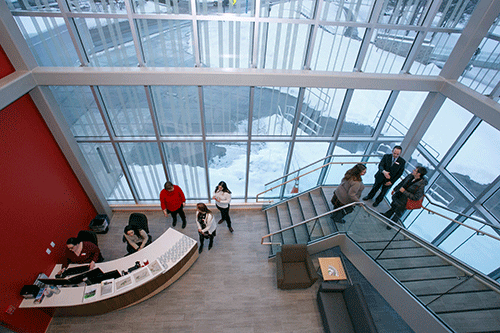 This space, whose tall glass windows take advantage of the campus’ beauty, houses the Admissions and Recruitment Office and will be the hub for prospective students and their parents. Additionally, the Welcome Center will be used for events. State Senator Jim Seward attended the ribbon cutting. From left to right: Wayne Camp ’76, P. Jay Fleisher, and Mike Bradley ’75. Spreading Red Dragon Pride Across the Globe! Congratulations to our 2018 Alumni Association Award winners! in New England on September 19, 2017. SUNY Oneonta President Nancy Kleniewski will retire at the end of the spring 2018 semester. She will hold seven farewell events in 2018, with stops in Florida, D.C., Albany, New York City, and Oneonta. Assistant Project Manager at Sciame Construction Remi Farnan ’15 credits her time at SUNY Oneonta for helping her develop “both amazing friendships and life lessons” that she’ll hold forever. “From working with so many different students and people I was able to develop a lot of problem solving and people skills that help me navigate my work team and interact with others efficiently and productively,” she says. 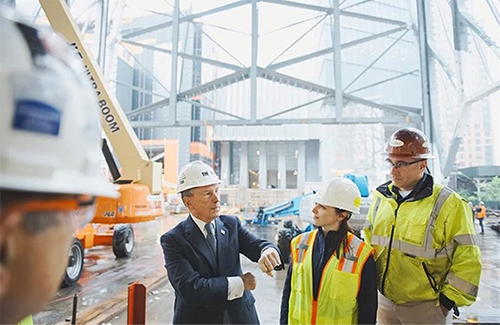 Those problem solving and relationship building skills are coming in handy on Farnan’s current project as she plays her part in developing New York City’s The Shed, a multi-function arts center not far from the High Line. This building is designed to commission, produce, and present all types of performing arts, visual arts, and popular culture. To see the building in action, visit theshed.org. 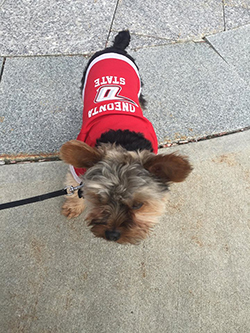 Not only do human Red Dragons love to wear their love for SUNY Oneonta on their sleeves (and fronts and backs), they also want their four-legged friends to show their love for this place. 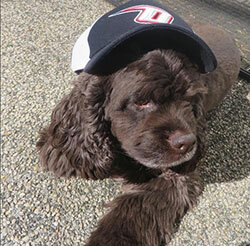 Do you have a picture of your furry, four-legged friend wearing Oneonta gear? 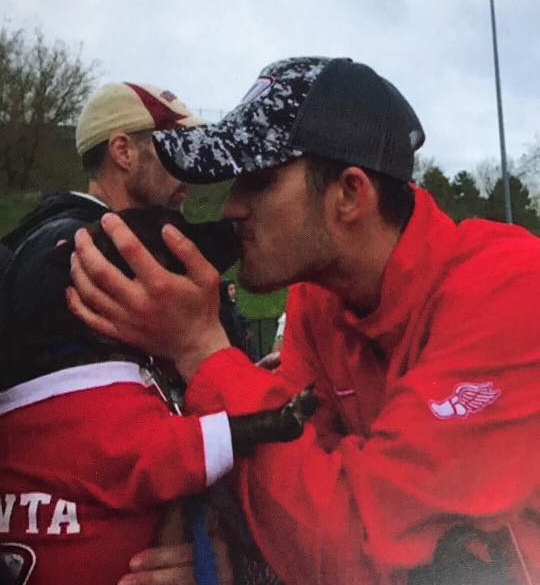 Send it to us at alumni@oneonta.edu. 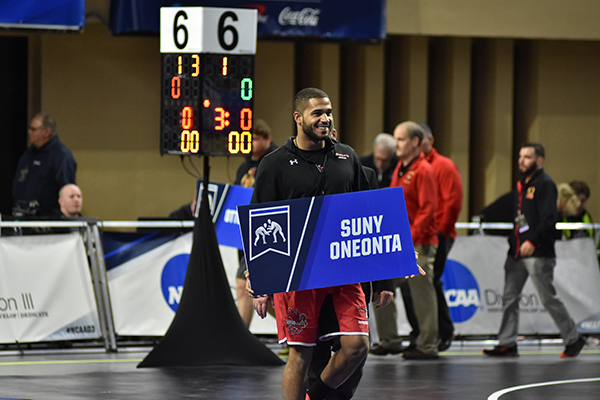 Congratulations to a Steadfast SUNY Oneonta Supporter! 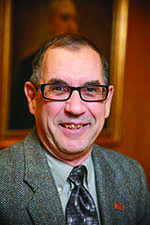 The Council for Advancement and Support of Education (CASE) District 2 has awarded Bill Pietraface, Professor Emeritus, Biology, College Foundation board member, committee chair, officer and past co-chair of one of our campaigns, member of two presidential search committees, and more for SUNY Oneonta, the Robert L. Payton Award for Voluntary Service. The award is given annually to an individual who demonstrates leadership in advancement programs, furtherance of the philanthropic tradition, and public articulation of needs, goals, and issues in education. Thanks to your responses on our recent Alumni Attitudes survey, we are able to look more closely at what you need from your alumni association. Your voice has been heard! You are interested in learning about how other alumni and your alumni association play an important role in improving the student experience. You are focused on how your degree helped you in your life and is an enhancement to your career. You are encouraged that the value of your degree is greater today than when you graduated and that the college is constantly working to increase that value. You are invested in increasing your understanding of your alumnus/a benefits. You are open to targeted communications that focus on successful event outcomes. We’ve taken all of the results and are using them to formulate an active, strategic plan for the Alumni Association to make your alumni experience even stronger. Stay tuned! When Beth Walters ’16 graduated from SUNY Oneonta, all she wanted was to be a clown. She landed her dream job but fate had other plans for her future. When I graduated from SUNY Oneonta, I started at Ringling Bros. and Barnum & Bailey circus as a clown and it was absolutely amazing! 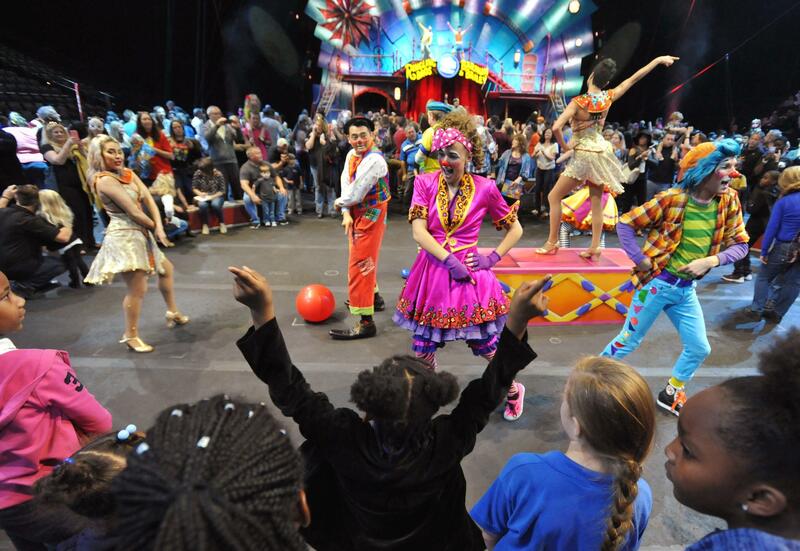 My dream came true -- but after only three days of being there, after my first three-show Saturday, we got the announcement that the circus would close. It was extremely heartbreaking and difficult for me to deal with because I was so crushed. I was able to cope through the support of all of my friends and family and my clown alley. So many people in the SUNY Oneonta theater department reached out to me and made sure I was okay. The theater department at SUNY Oneonta was my rock throughout college and even after I graduated. Everyone was so encouraging. Mask and Hammer even organized a field trip to come see me perform in Wilkes-Barre, Pennsylvania! That has to be my favorite show I performed in. 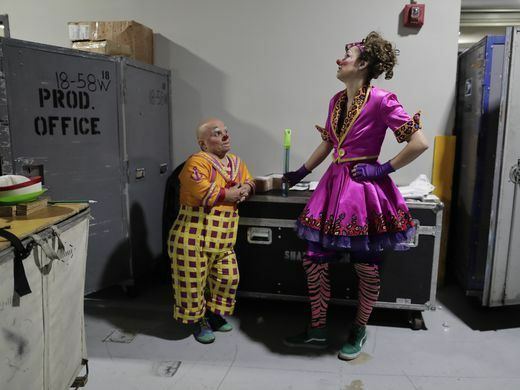 My education from SUNY Oneonta 100 percent helped me get to where I am today, which is as the Operations Office Manager at the Big Apple Circus! I've been here for almost three months and it has made me grow so much. I was able to visit Oneonta recently and it was extremely refreshing to see all of the people who shaped me into who I am today. 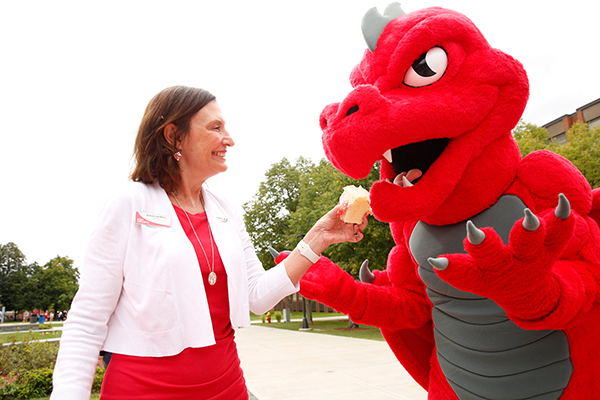 The Alumni Association and the Office of Alumni Engagement love to bring Red Dragons together. We also know we have alumni everywhere and you can't always make it back to campus. To that end we've hosted several regional alumni events to bring alumni from different areas together in local settings. 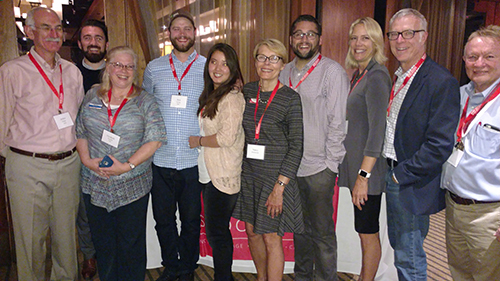 Recently, SUNY Oneonta gathered in Nashville with hosts Duke ’75 and Kathy ’75 Gallagher for a regional event pictured below. 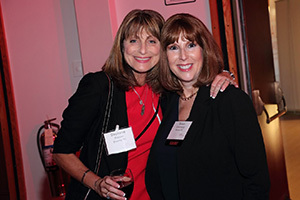 We have also hosted regional alumni events in NYC as well as events to celebrate the retirement of Dr. Nancy Kleniewski in Atlanta and Syracuse. 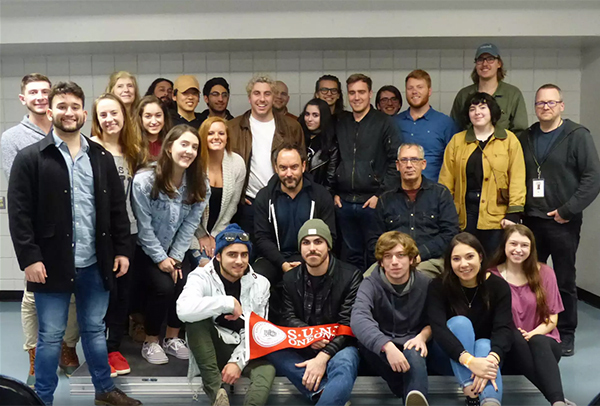 Adam Moulter ’10 spoke to about 35 Music Industry students on campus in September as part of the Recent Alumni Dialogue Series. Moulter gave a short presentation tracing his path to SUNY Oneonta as well as his experience with working and graduate school after Oneonta. He encouraged students to take advantage of experiences that the Music Industry faculty put together, like the annual trip to the National Association of Music Merchants show, internship guidance, and more. Students had the chance to ask Adam questions about his experience working with music festivals, at concert venues and his opinion on trends in the music industry. The Recent Alumni Dialogue Series allows alumni who have graduated within the past ten years the opportunity to give back to the college by sharing practical advice with current students. Lectures can be tailored to the speaker’s interests and availability, and can include speaking about their career, navigating a graduate school search, strategies for success after leaving home, job searching, and planning for the future. Opportunities include: addressing a class, club or organization, participating in a group panel, and interacting with faculty. If anyone is interested in finding out more about participating in the Recent Alumni Dialogue Series, please email Karyn Wendrow, Coordinator of Recent Alumni and Student Programs. Would you like to host a smaller event with a close group of your Oneonta friends? We can help with that! 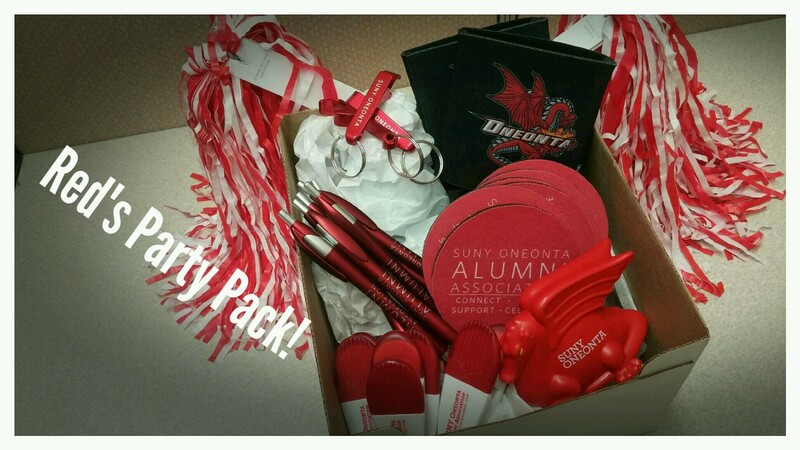 Red's Party Pack is a "party in a box" kit containing items to give your event a splash of SUNY Oneonta fun. Best of all -- it's all free! Consider it a thank you for showing pride in your alma mater and making the time to host an event that allows alumni to come together. Red's Party Pack is full of items you'll need to host the perfect alumni social and will include small Oneonta giveaways for your guests, as well as a special gift for you! Types and quantities of giveaways will depend on our inventory and the size of your event. All you need to do is tell us a little bit about your event by filling out this form and we will send a Party Pack right to your doorstep. Please have a date, time, location, and solid idea on the number of guests before filling out the form, and submit it a minimum of three weeks before your event. This will allow sufficient time for processing and shipment of your party pack. After the party, all we ask is that you send us a list of alumni who attended and a picture or two of you and your guests with your swag so we can share the fun! If you have any questions please contact the Office of Alumni Engagement at alumni@oneonta.edu or 607-436-2526. Alumni of Distinction honoree Christopher Burr ’83 has had a busy summer and fall. Given that he’s the executive officer at the National Hurricane Center in Miami, July through November is always busy – and have been since he started there in 1988. This year, however, his office was in the direct line of fire of one of the very storms that they track. “I could see our operational models when Irma was way out in the Atlantic so I knew it was coming long before a lot of other people probabaly did. That was a whole week of anticipation hoping it was going to move north or west and not impact Florida,” Burr says. On Monday morning, after Irma’s Sunday landfall, Burr returned to the office. He started at the Center as a forecaster/meteorologist. In general, he doesn’t do any forecasting in his current role, unless another employee is out of the office and he needs to fill in to help provide basic weather forecasts for the tropics. Right now, his main concern is planning and budgeting. Soon, this part of his career will end when he retires at the end of the year. This month, we have two requests for our Red Dragons. If alumni from the 1950s-70s have any videos or photos of Old Main and the upper campus, SUNY Oneonta IT Specialist and Facilities Planner Phil Bidwell ’87 would like a copy of them for a history project he is working on. The alumni hockey game and reunion will April 7, 2018. Charles “Three” Bollinger is looking for any lost hockey players who’d like to lace up their skates again. 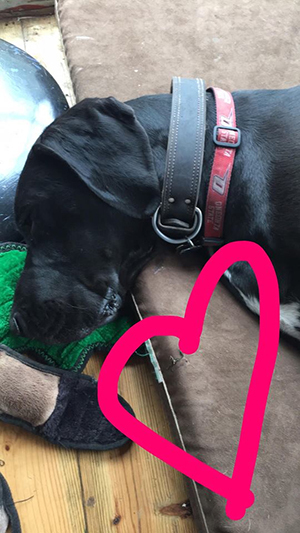 We thank everyone who was able to help with this. 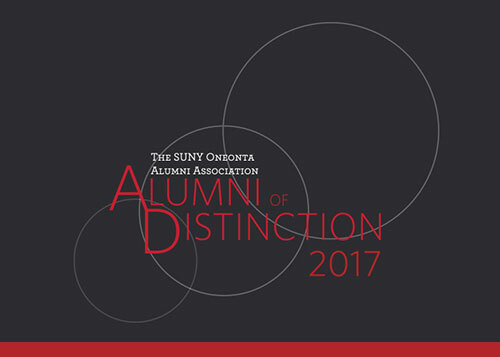 Three years ago, the SUNY Oneonta Alumni Association established the Alumni of Distinction program to honor our graduates who have excelled in their careers, their service to their communities, and their commitment to our college. The 2017 induction class includes educators, attorneys, museum directors, and a pilot, among many others. View the list of this year's honorees. 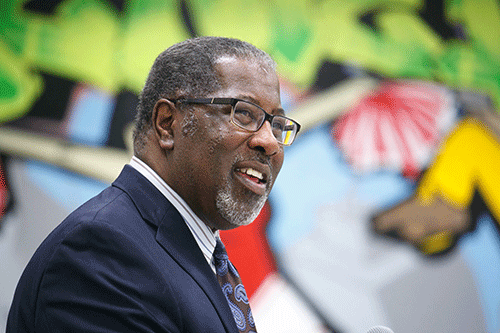 The honors will be presented on Friday, September 29, from 6-9 p.m. CBS 6 co-anchor and broadcaster Greg Floyd ’80 will be the master of ceremonies. The Rich Mollin Group, along with a selection of our talented students, will fill the Hunt Union Ballroom with music. Jeffrey Nussbaum ’86, Kevin Owen Reilly ’95, Michael J. Mullin ’96, Martin Lizzul ’91, Lynne Irene Morris ’00, Glenn J. Winuk ’83, and Brian J. Terrenzi ’95 lost their lives on September 11, 2001. 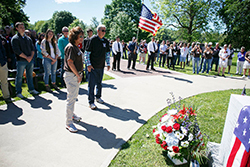 Every September, the campus community pauses to remember them. The university police color guard led the procession to the memorial near Fitzelle Hall. Konstantina Salales ’19 presented a wreath. 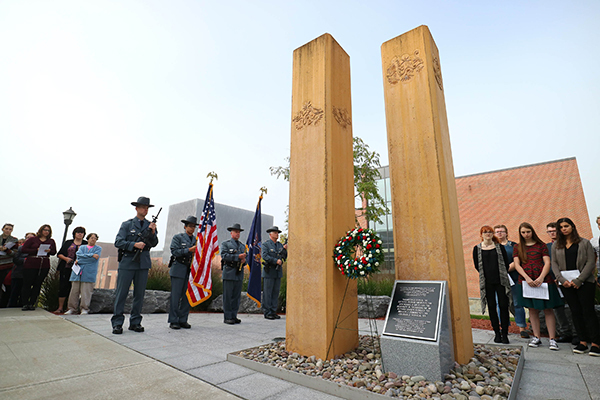 Zerin Bay ’18, Timothy Distler ’18, Danielle Grieco ’18, Abdourahman Jallow ’20, Anastasia Klingel ’19, Taylor Ross ’19, and Tara Ruhle ’19, who are the recipients of the SUNY Oneonta Alumni Association’s Annual 9/11 Memorial Scholarships, laid red roses at the base of the campus memorial. Robin Seletsky led the music. SUNY Oneonta's newest students kicked the academic year off with a traditional pass through the pillars of Old Main. First-year and transfer students gathered on the hillside by Fitzelle Hall to pose for a group picture with 2000 of their closest friends. Then they passed through the pillars accompanied by the sounds of the Drag’n Rolls Drumline and the cheers of the college community. Their welcome to campus continued just a few days later when the entire college community gathered on the quad to celebrate Red Day, our annual birthday party for SUNY Oneonta. This year, we turned 128. We don’t feel a day over 126. 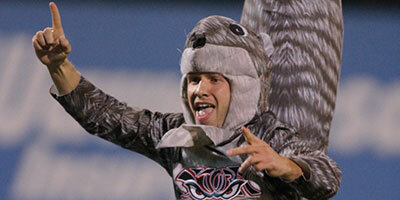 Eric Theiss ’09, a sales and marketing executive for the Lake Elsinore Storm, a minor league affiliate of the San Diego Padres, has hung up his cleats as Ace, the Fastest Squirrel in the World. Theiss, a six-time SUNYAC champ during his years at SUNY Oneonta, would give his on-field opponents a significant head start when they raced around the warning track but Ace almost always broke the ribbon first. This ball park show brought Theiss big league coverage, from running at a Padres game to an appearance on ESPN. Theiss decided it was time to move on after six years as Ace because he turned 30 and his wife was pregnant with their first child. For a glimpse of Ace in action, go to YouTube for his highlight reel. Earlier this summer, SUNY Oneonta president Nancy Kleniewski announced she would retire during the summer of 2018. Before she goes, she’ll be hosting receptions around the U.S. that will be the perfect time to share your thoughts with the president and to spend some time with your fellow Red Dragons. The tour will kick off on Red Day, September 1, on the SUNY Oneonta campus, and then travel to New England and Central New York before heading south to Atlanta. More dates and places are on our farewell tour website. Join us as we wrap up Dr. K’s ten years leading SUNY Oneonta. 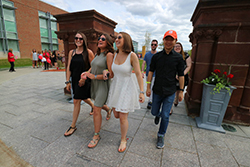 If you can’t make it to a reception, please visit the website to share a personal memory or story that will be included in a commemorative gift or to give to the Alumni Association’s newly established Dr. Nancy Kleniewski Scholarship fund to support first generation students at SUNY Oneonta who have financial need. AnneMarie Cucci ’12, who is hosting the Legacy Family Reception, on September 23 during Family Weekend, took a moment to talk about what having a Red Dragon parent felt like for her. “I chose Oneonta because it was not too far from home but far enough that I felt I could gain some independence and meet new people. 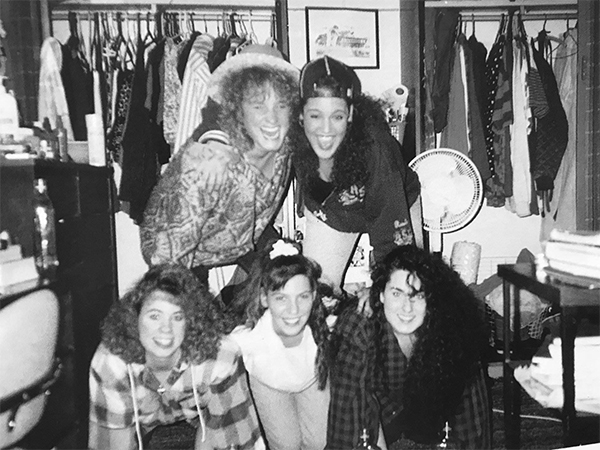 My mom, Ellen Cucci ’80, would talk about Oneonta when I was growing up, not too frequently, but enough that I wanted to check it out as an option for college. “I lived in Grant Hall my sophomore year — and Mom also lived there in 1979-80. On move-in day, we walked into my room, looked around, and Mom said, 'well, not much has changed in 30 years!'" “Our best shared story is from our sororities. Mom is an alumna of Alpha Kappa Phi and I am an alumna of Sigma Gamma Phi. Both are local chapters with pretty similar histories and strong ties to Oneonta. I had a large group of friends in the Phi Kappa Psi fraternity who lives at 56 Maple Street. It turned that out mom's sorority lived in that house when she was a member! Mom would tell stories of singing out the windows of the cupola on the third floor of the house with her pledge sisters. It was always funny to know 30 years later I was hanging out in that same place with my friends. “Technically, Mom and I had the same major. In her day it was called Home Economics education. For me it was Family and Consumer Sciences. She actually gave me a binder from her 1979 textile science class that included her final project. It turned out to be the same project I had to complete in 2010! You were given [a piece of] 'mystery fabric' at the beginning of the semester and [had to] conduct tests on the fabric to determine what [type] is was by the end of the semester. Though so much has changed on campus and in the curriculum, it was really cool to see some projects had stayed the same,” she said. 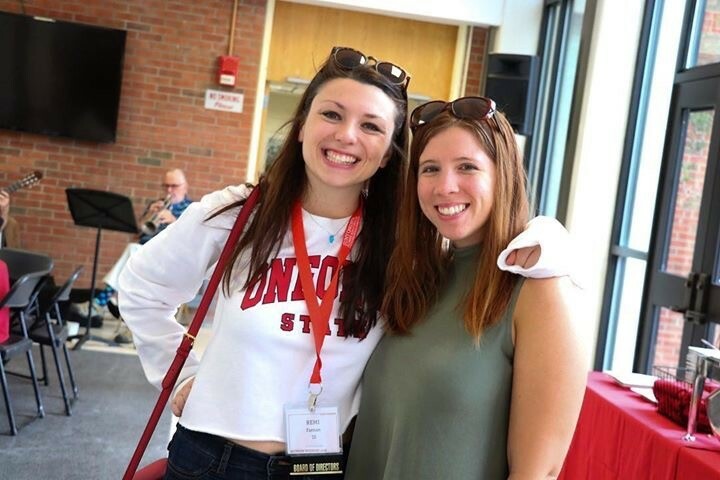 AnneMarie and Ellen came back to campus during Reunion Weekend this year and enjoyed their time at their shared alma mater. “Now that I live in Rochester and Mom in Rome, we don't get many opportunities to spend time together with just the two of us. It was really nice to take a little road trip down to Oneonta and spend the weekend reminiscing. I am thankful that Oneonta gives us something to bond over and is a connection we will always share,” she says. The SUNY Oneonta Alumni Association in conjunction with the Office of Alumni Engagement is piloting an online book club hosted through Goodreads. We invite our alumni to read and discuss a book that is meaningful to the campus community. Book club members will have three weeks to read each book, followed by one week of online discussion. The online club for our first title will begin on August 28. The book club's first title will be the College’s 2017 Common Read: Hidden Figures: The Story of the African-American Women Who Helped Win the Space Race by Margot Lee Shetterly. 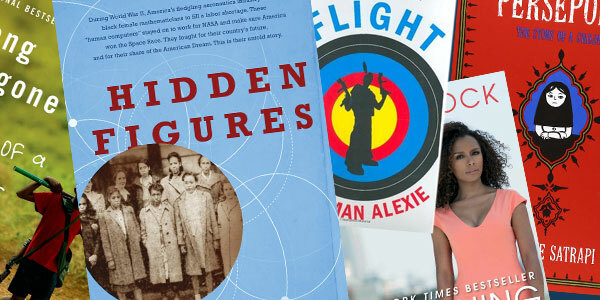 The book tracks the careers of three African American female mathematicians who worked behind the scenes at NASA and its predecessor the National Advisory Committee for Aeronautics doing complex mathematical calculations. As mechanical computers improved, these women became computer programmers and engineers as the space program moved forward toward human flight in the early 1960s. Please visit theGoodreads websiteand create an account. Once you have an account, request to join theSUNY Oneonta Alumni Book Club. You'll have access to the group once you are approved. All members are responsible for obtaining their own copy of the book. Participate in the online discussion. The first question will be posted on September 17, with additional questions to follow. Members will receive a notification from Goodreads when each discussion question has been posted. Shetterly, a Sloan Foundation fellow, will give the 2017 Mills Distinguished Lecture on September 25, 2017, at 7 p.m. All book club members are invited to join us on campus for the lecture. Once you have registered for the book club, ticket information will follow. The Mills Distinguished Lectureship is named to honor the memory of Professor Albert Mills and his wife Helena. Their bequest to the College at Oneonta Foundation led to the establishment in 1988 of a fund to bring prominent speakers to our campus. During the last 18 months, campus visitors may have noticed the construction zone next to Hunt Union. That new building is now open. 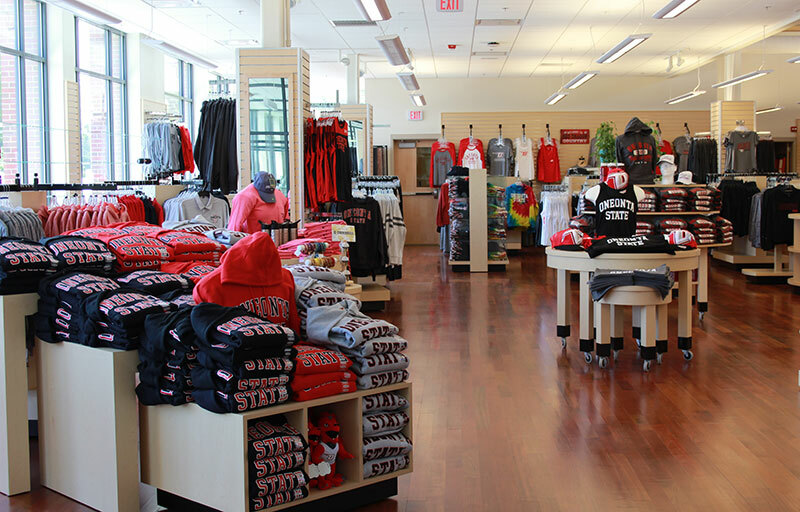 Red Dragon Outfitters, where students, parents, and alumni can find SUNY Oneonta gear like hats, shirts, and dog coats, has an airy new space on the first floor. Next time you make the trip to Oneonta, come see what treats the Outfitter has for you! Thanks to all of the alumni who took the time to respond to our recent survey. Your answers will help shape your alumni experience for years to come! We want to build an organization that meets the needs of all SUNY Oneonta graduates. As part of that goal, a new website will be launched soon. Don’t worry! Most of the content will still be available. New features, however, will make the site more nimble and responsive. Summer is a great time to launch our updated site – and a great time to find Class Chairs for Reunion Weekend 2018. If you are interested in rallying alumni from your class year for 2018’s biggest party, please email the Office of Alumni Engagement. This year’s Reunion Weekend was full of frivolity! Minds were expanded with cooking classes, history lessons, and campus tours. Golfers and tennis players got to get their games on during the weekend. Calories from the Brooks’ BBQ lunch and the Red Dragon Welcome Party were burned off in a hike to College Camp, a mountain bike ride, or a lounge on Golding Hall’s lawn. Above all else, we celebrated how great it is to be a Red Dragon! The brothers of Iota Tau Kappa (ITK) came back to campus ready to revel in their fraternity’s 50 years of existence in Oneonta. They held a memorial service for those brothers who have passed at Nehawa Park in Oneonta as well as an anniversary ceremony at the Hunt Union. The oldest student organization on campus, Mask and Hammer, also celebrated with an all-alumni version of Midnight Madness, their annual comedy show. 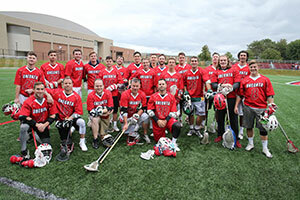 The next afternoon, the group gathered to offer a toast to Kyle “Cellophane” Burch ’08, who passed away this year after a battle with leukemia. The Class of 1967, who marked their 50th reunion, had a chance to pass through the pillars, dine, and receive their 50th reunion medallion. And, as always, our volunteers and alumni award winners were thanked at a breakfast ceremony. Photos of the weekend, including the ITK 50th Reunion celebrations, are available here. Next year's Reunion Weekend will be held June 8-10, 2018 and will celebrate the milestone reunions of classes ending in 8 and 3. If you are a member of a milestone class or affinity group and want to help plan your reunion you can volunteer to be a reunion class chair or help organize a reunion for your group. After their busy Senior Week, which included the traditional Pass through the Pillars and Champagne Toast, the Class of 2017 celebrated their commencement. More than 1,200 graduates received their hard-earned degrees in three separate ceremonies. 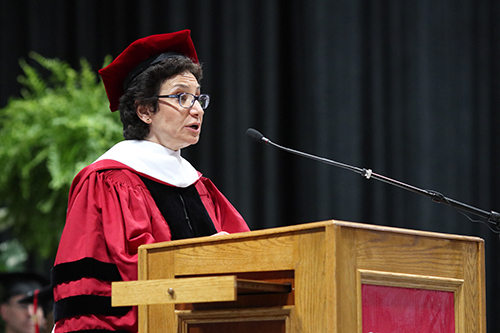 In addition to class president Carly Salzman ’17, Rosalind "Roz" M. Hewsenian ’75 spoke before receiving an honorary degree. 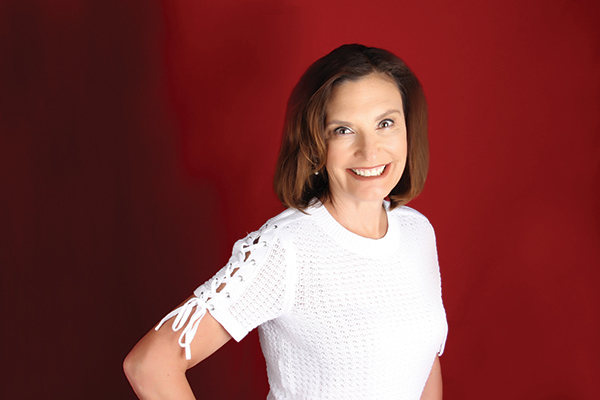 Recognized as one of America’s top chief investment officers, she has used her deep knowledge and money management skills to help improve the human condition with organizations such as the More Than Shelter Fund and PLAN of California Special Needs. Since 2011, she has been chief investment officer at The Helmsley Trust, transitioning its high-net-worth capital into a grant-making charitable foundation supporting medical research, conservation and education initiatives. Four student award winners were also recognized: Daniela Gutierrez ’17, Spriha Sanjay ’17, Rachel Shine ’17, and Jillian Young ’17. 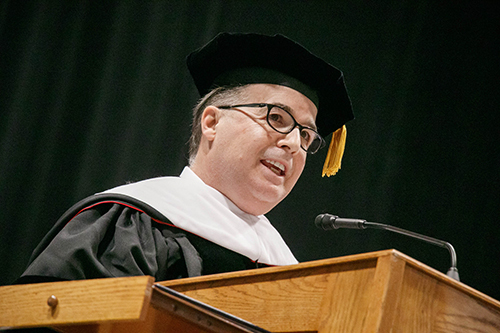 Watch video of the full commencement speech as well as all 3 commencement ceremonies. View the complete collection of photos. 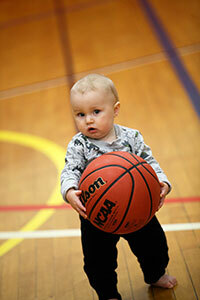 See the college's Storify page with posts and photos here. President Kleniewski, Distinguished Guests, friends and family, including my own, and the members of the Graduating Class of 2017, I am humbled beyond words for this honor and offer my deepest gratitude. No one was more surprised than I when I received a phone call telling me I had been nominated for this Doctorate. An obvious question to me was, “How did that happen?” How did I get from where you are sitting now, forty-three years later, to where I’m standing? After all, I never thought I was anyone special, and after thinking about it, it came down to some very “un-special” and simple things. But, clearly, they worked. And it begins with the gown I’m wearing. You are all in black, and I’m in red. I graduated with the Class of 1975, which was, is and forever will be, the only class in Oneonta’s history to have worn red gowns. Why? Well, the four years we were in college were characterized by significant strife in the country: it was the height of the Vietnam war, the beginning of campus racial tensions across the country, the 1974 Arab Oil Embargo that exploded inflation, and with it, college tuition, and the ATT workers strike that affected one in four students on campus; finally, we were graduating into the worse recession since the Great Depression. And the Administration wanted us to wear BLACK! We didn't want that malaise to define us as we were leaving campus. Wearing red gowns was a way for all of us to change our mindsets and take strength from the strong color it is, while paying homage to the college that was launching us. By being a little different and setting ourselves apart, we believed, would help us secure our future. Did our red-gown gambit work? 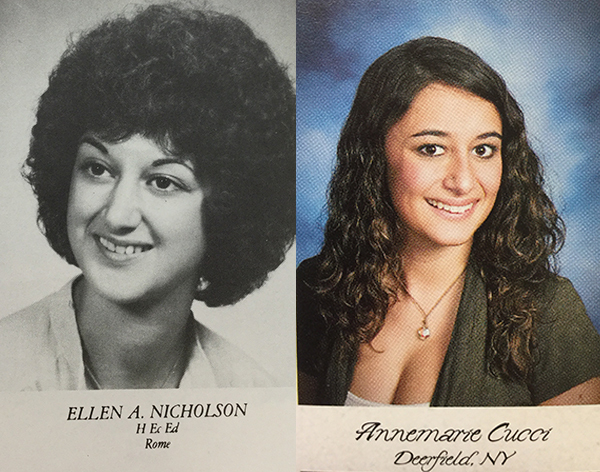 One need only to peruse the list of Oneonta Distinguished Alumni to see the Class of 1975 extremely well represented. Knowing when to be a little bit different, not so others notice you, but so that you take notice of yourself, could affect the rest of your life! I came from a very small high school, Somers High in Somers NY. Competition in 1971, as it still is, to get into the less expensive NY State Schools was really tough. We were told after we got to Campus, by Dean Daley at the time, it was harder to get into Oneonta that year than it was Harvard! Fifteen percent of my senior class, 17 of us, applied to Oneonta, alone! While I was an excellent student and had great extracurricular activities, my grades were NOT the highest, so I was worried. I really, wanted to go to Oneonta after having been sold on the place, sight unseen, by a recent graduate. My guidance counselor in an effort to give me hope said to me, “Well, they have to take at least one of you!” And that gave me an idea. Back then it was unheard of to visit college campuses before you applied to school and even less common to have an interview. So, I wrote a letter to the Director of Admissions, Mr. Burr, giving him the reasons why I thought it would be in our mutual best interest to meet. A few weeks later the appointment had been granted. I convinced my mother to take a day off from work and off we went. It was October, the prettiest time of the year here, and I was so excited. It was the first time I had ever stepped on any campus! It was also my very first interview of any kind! I had no idea how to prepare, so I didn’t; After the interview was over, I went back home and waited for the results. And finally they came in, 16 rejections and only one acceptance! The moral of the story, never hesitate going the extra mile! It could affect the rest of your life! After I arrived on campus as a Freshman I was standing on line waiting to get into dinner at Mills Hall when the manager of the dining hall came out and shouted, “Who wants to work?” Before the words were completely out of his mouth I was at his elbow. As a Freshman I was going to get assigned the worst job, and it came as advertised! I landed in the dish room, scraping other students’ uneaten food off plates! I was too poor to cop an attitude about it, I had to work. But I began to notice something. An esprit d’corps resonated in that dish room among the students. We all made up our minds to make the best of an unattractive situation, and it was important that we organize ourselves to fall into a rhythm so the dishes didn’t pile up on the conveyer belt, fall on the floor. Four years later when I was a senior, none the richer and still working at Mills, I could have any position I wanted, but often went back into the dish room because of that esprit d’ corps. All work is honorable, and even if you hate the job, stick with it for a while, you will learn important things about endurance, perseverance, team work and attitude. So don’t just cut and run, otherwise, it could affect the rest of your life. I was never the most popular kid in my class, far from it. I always felt like the outsider to my peers, so the idea of running for class office usually never crossed my mind. But, that fear was limiting me. Finally, by my senior year at Oneonta, I decided to risk myself, if only just once! I ran for Student Senate to represent my dorm, McDuff Hall! I wanted to do this because my concern for what was going on, on campus exceeded my fear and I felt I had to do something. So I hand-wrote out flyers because laptop computers, powerpoint and email hadn’t been invented yet, and copied them for 5 cents a page at the Milne Library. How quaint. So, I went door to door doing something that was very hard for me, and still is, asking for something, of someone, for myself. I asked my fellow residents’ for their votes. Imagine my shock when I won! The year I served in the senate was a defining one for me on so many levels; I and the other senators together steered the student body toward a successful year. I might add, we didn’t always agree, but we could listen to each other and civilly discuss and debate our positions with mutual respect. If you are physically healthy and still have a brain in your head you have an obligation and responsibility to AMAZE YOURSELF. You do that by taking yourself out of your comfort zone and risking yourself! Doing so could affect the rest of your life! We are often told to follow our passion, and you should follow yours provided it doesn’t lead you back to your parents’ sofa unemployed and unable to take care of yourself. Well, that happened to me. I really wanted to teach and majored in education. The problem was that there was a glut of teachers at the time and schools were being closed. It forced me to examine the real basis for my passion and to find another way to express it, because sitting on my parents’ sofa was not an option! I ended up spending the bulk of my career advising the Trustees of governmental pension funds, who themselves were not investment professionals, how to make multi-billion dollar investment decisions. It was teaching in a different form, and just as rewarding! Don’t be dogmatic about your passion, such that you back yourself into a corner. Seek to be creative if your first choice doesn’t work out. Lucky for you your Oneonta degree will be sufficiently flexible to allow you to do that. I’m living proof. Being flexible could affect the rest of your life. I finally graduated in my red gown, got a job and began to work, paying off my student loans. The College found me as an alumnus, and did what colleges do, asked for money. In the early days I sent what I could, maybe $10, maybe $20, but I sent something because I was eternally grateful to the school, and it helped me financially back then to the extent it could. As a student, I pre-dated the Alumni foundation that funds most of the scholarships awarded to Oneonta students today. As I progressed in my career I gave more, and it wasn’t until a very successful alumnus, who I remembered, defaulted on a major, and I mean major, promised donation, that it became critical that I, along with many other alumni, got serious about giving. What I found was that I had the easy part, I wrote the check, but what I got back was so much more. I found that I was directly and tangibly able to touch lives and ease burdens so others could realize their college aspirations. The students’ thank you letters to me intimated their own struggles, and their relief for the help, in extending their appreciation. Those letters often lifted me on my own bad days. No other act has affected my life more significantly than giving back! However you do it, to whatever extent you can, give back. This REALLY will affect your life! In closing, the seeds of your future success have been sown here, at Oneonta, while you’ve been a student. At some point, take the time to take stock of the simple life lessons you’ve learned here. But not this weekend. Enjoy this weekend, for soon the mantle of adult responsibility will be placed upon you and Monday will come soon enough! Congratulations, my fellow ALUMNI!! !